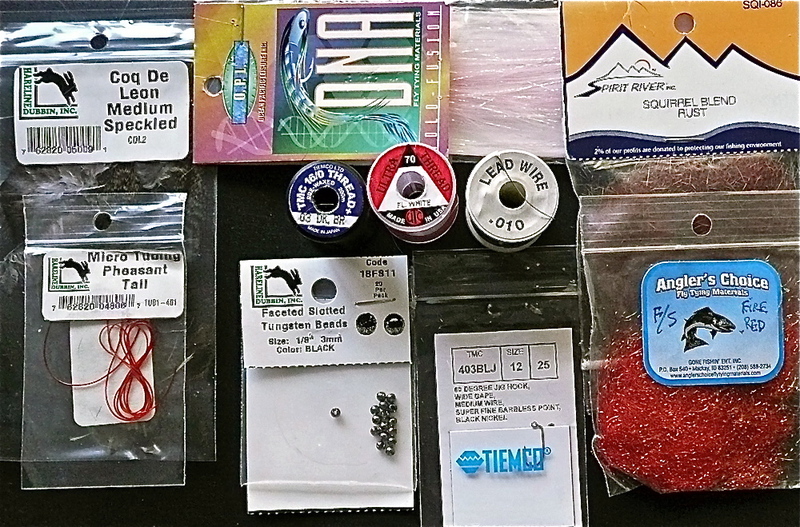 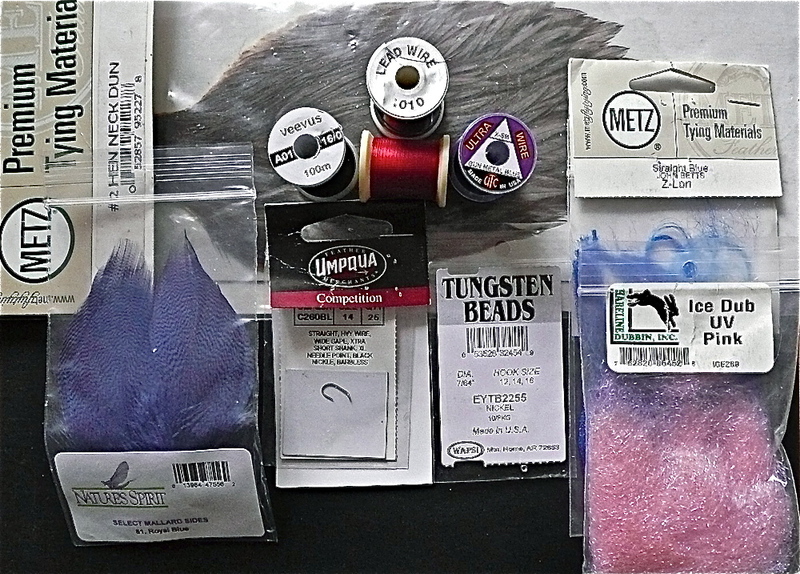 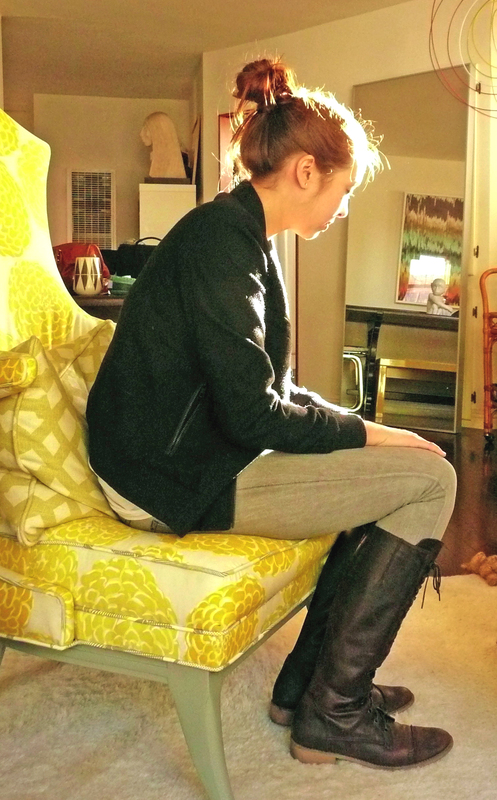 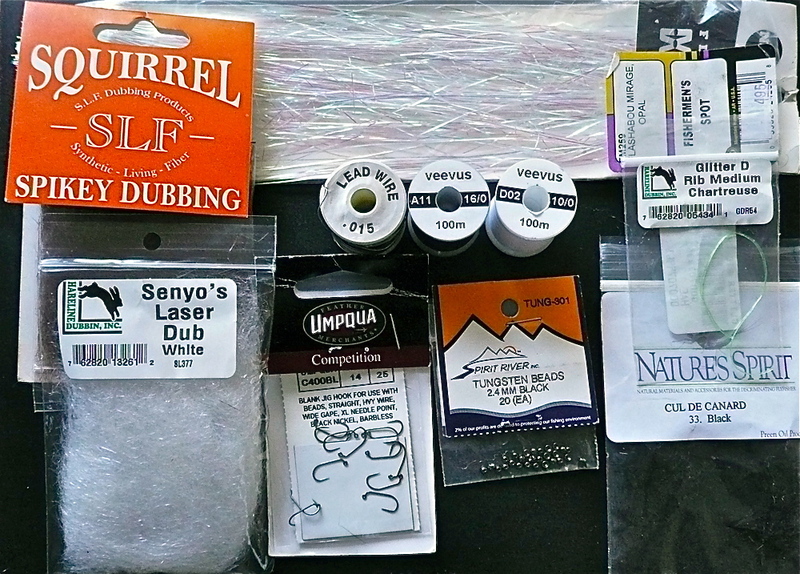 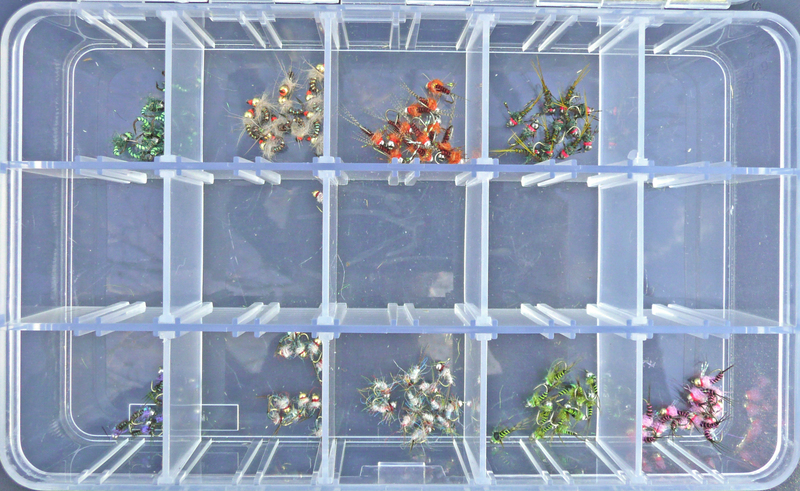 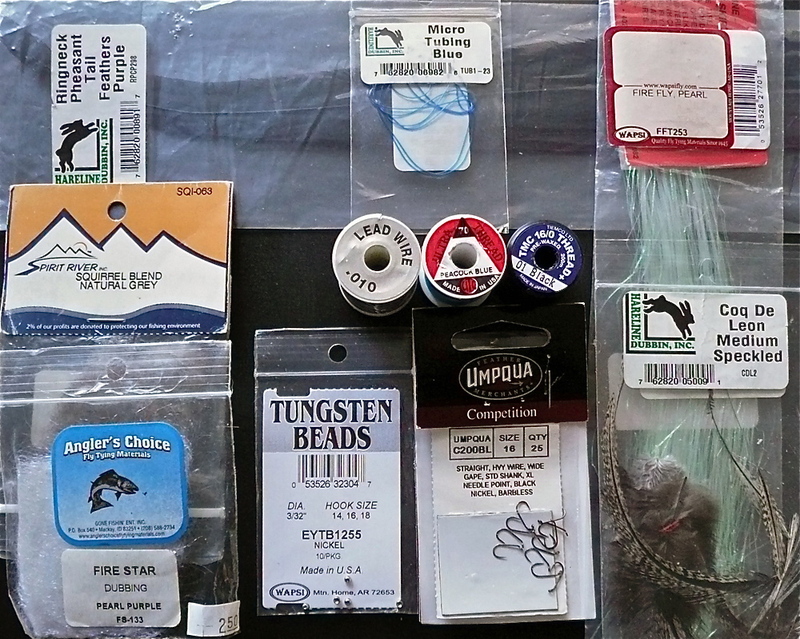 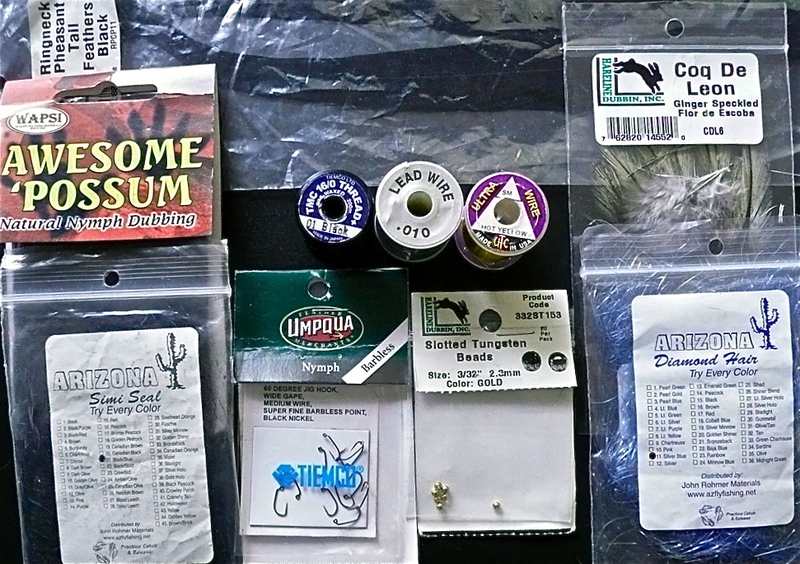 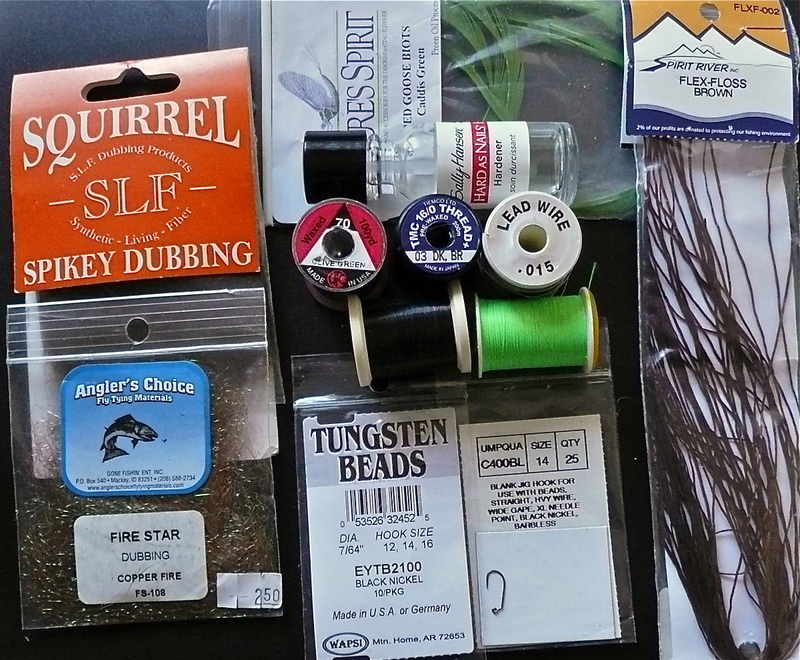 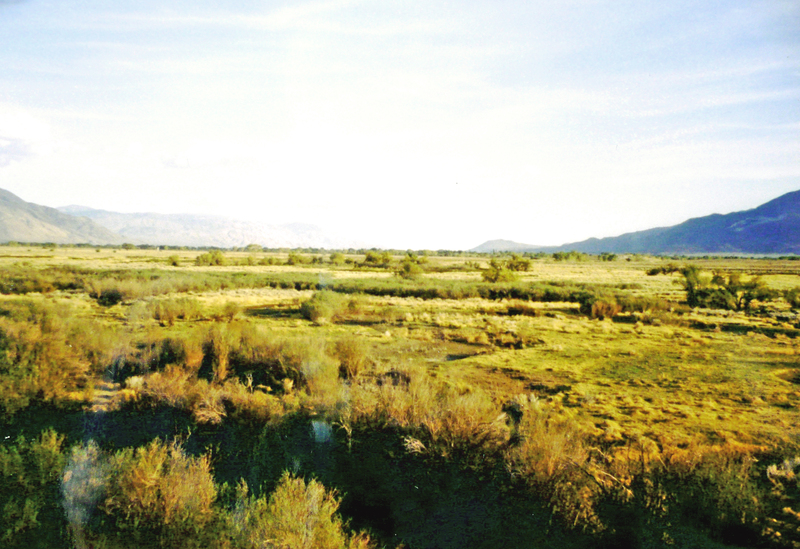 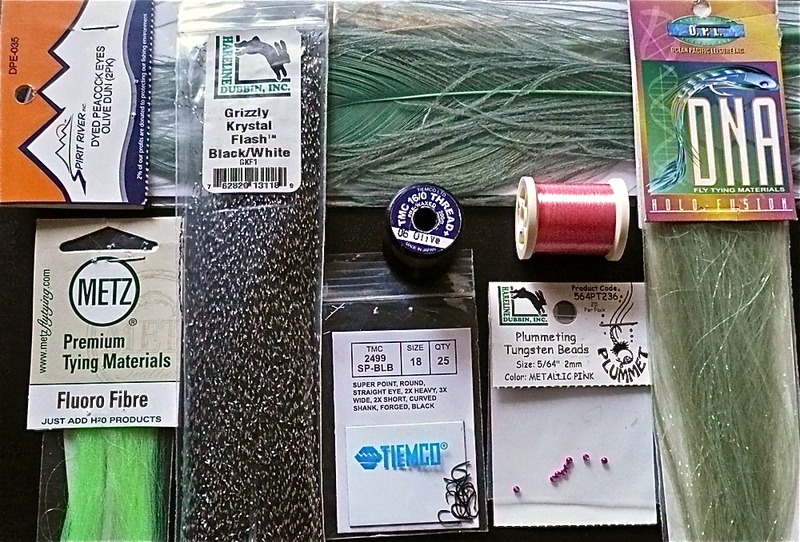 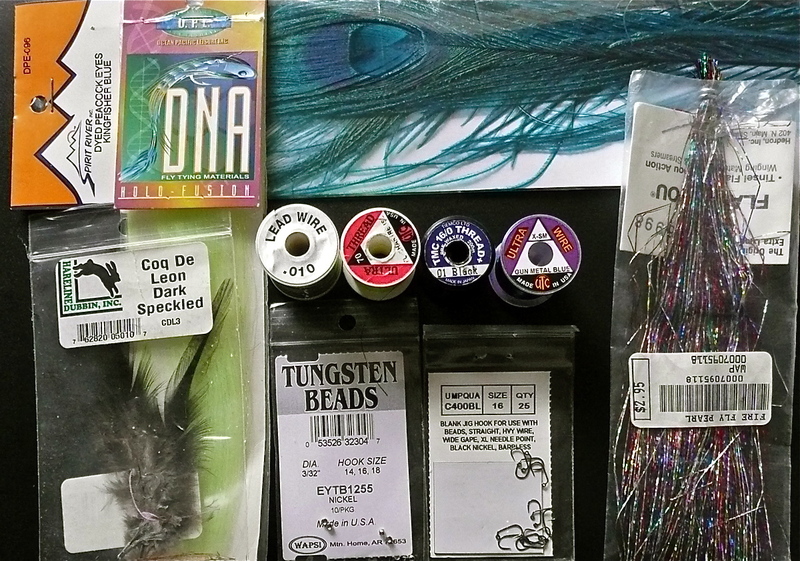 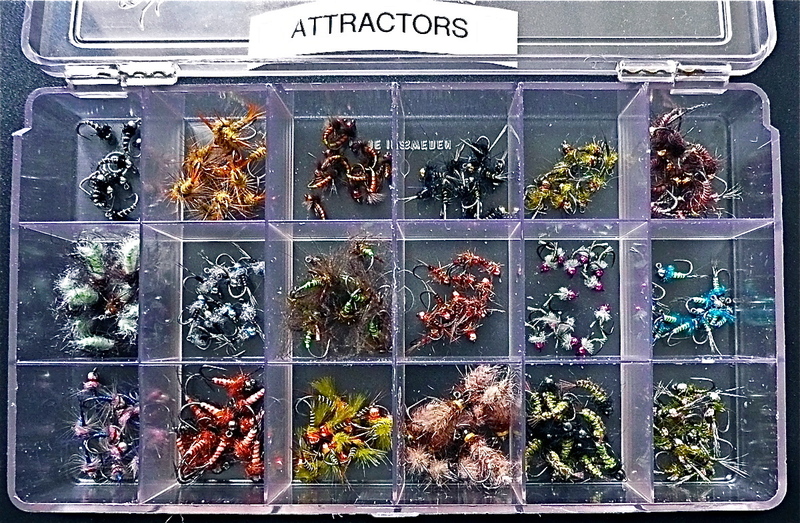 ATTRACTOR PATTERNS FOR SPRING 2014…COMPLETED ! 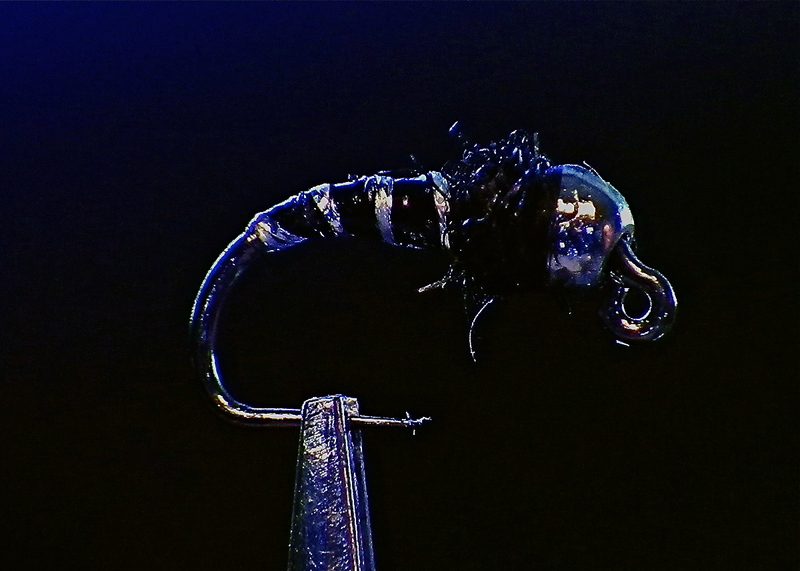 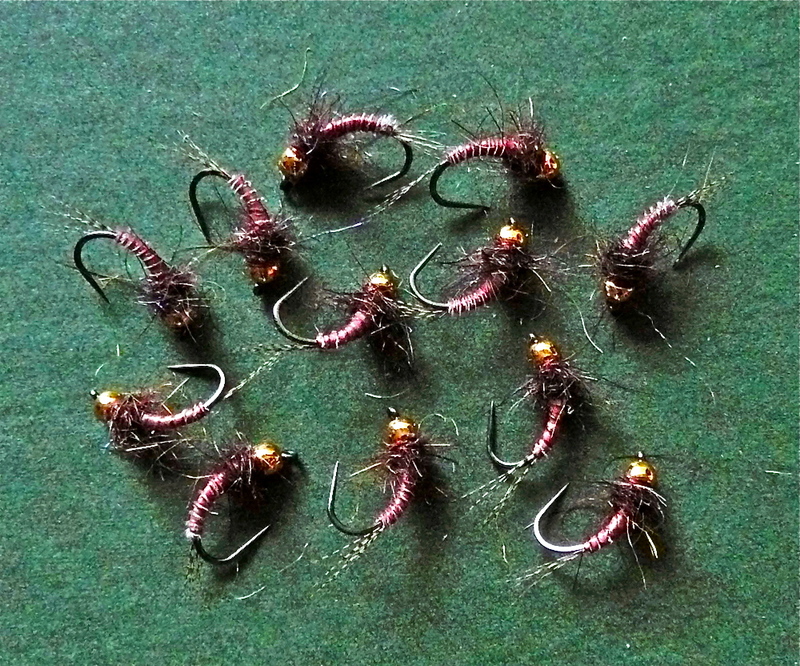 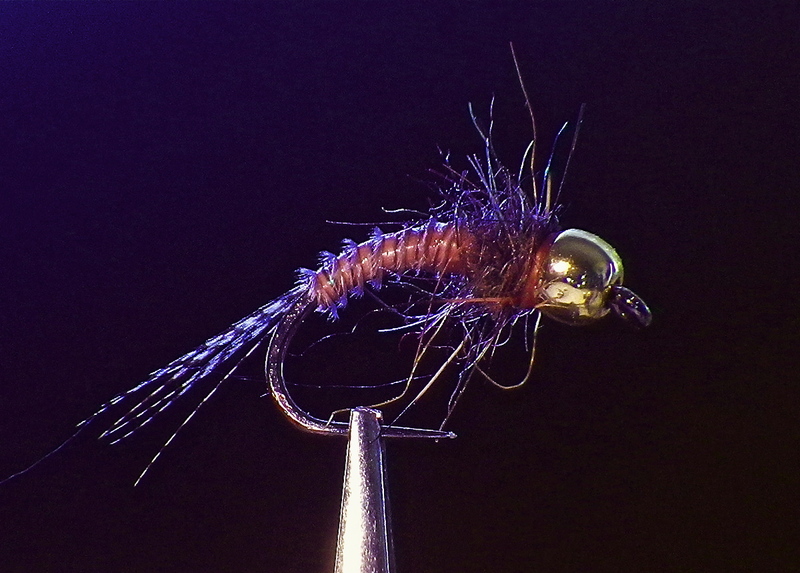 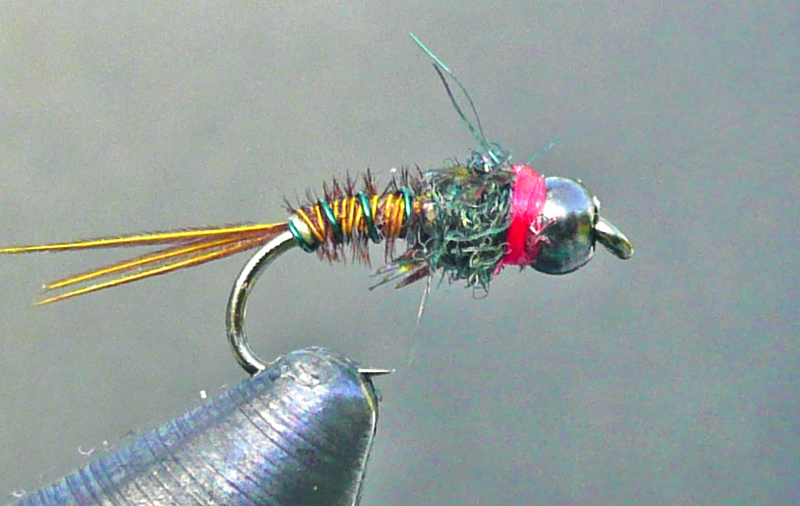 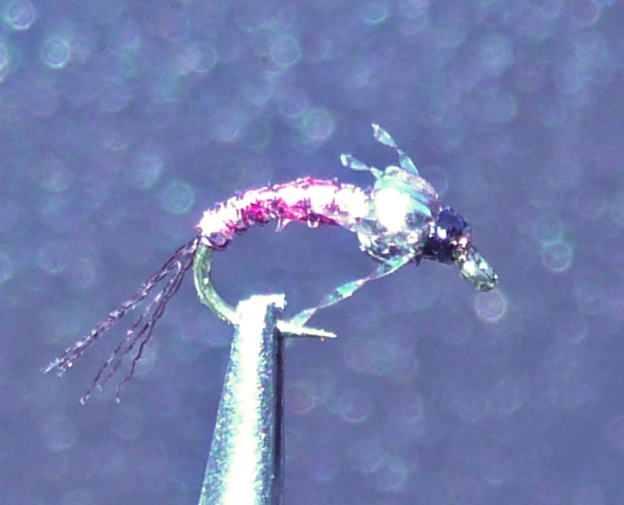 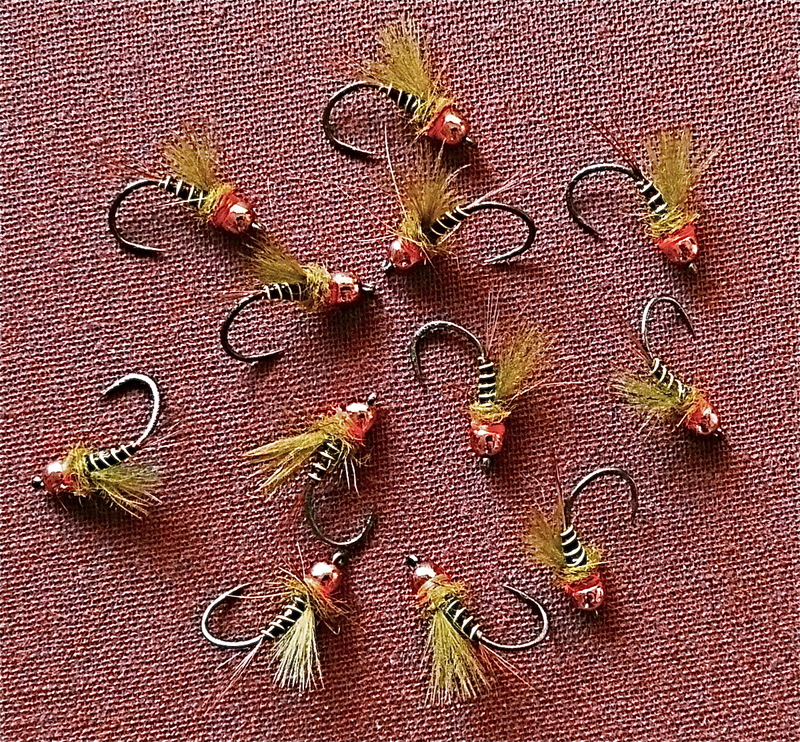 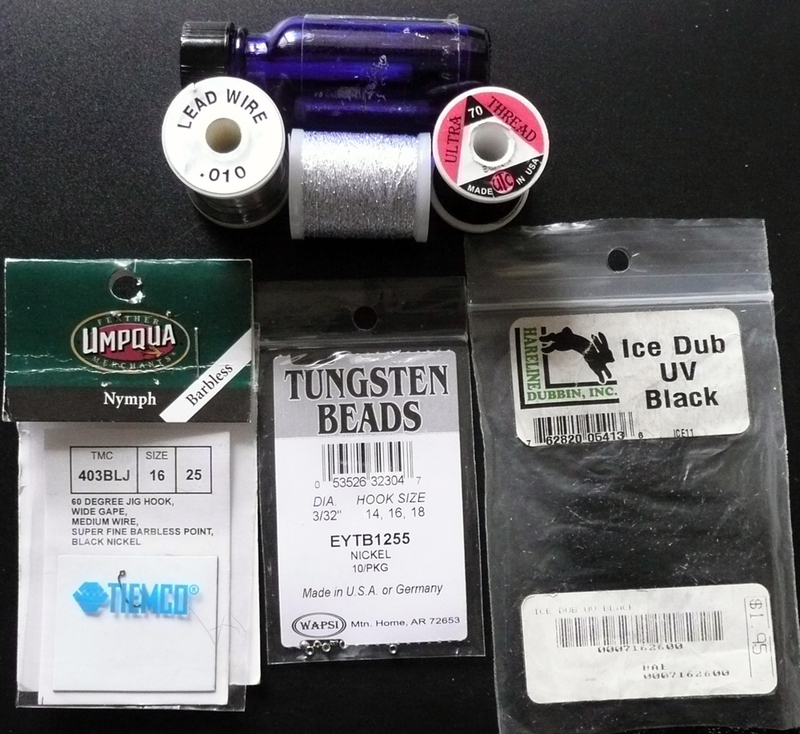 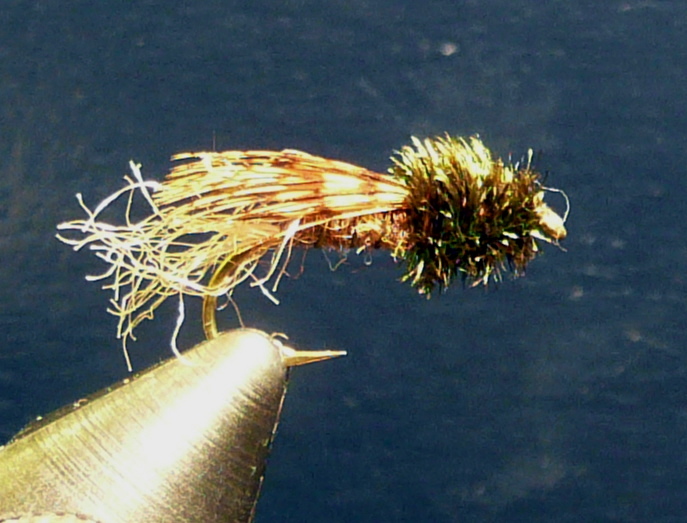 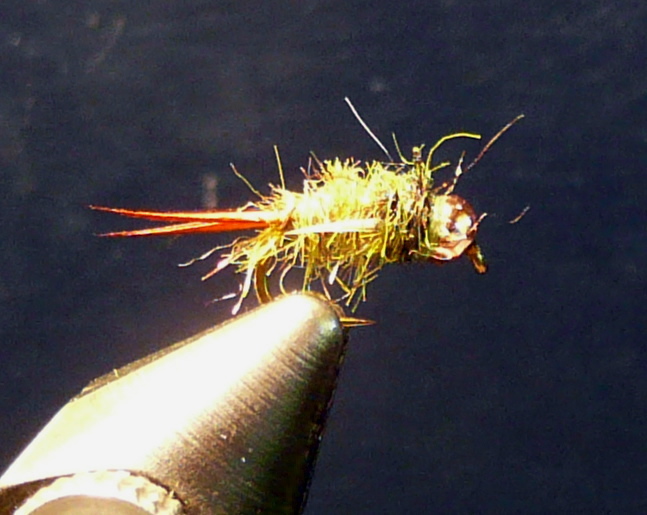 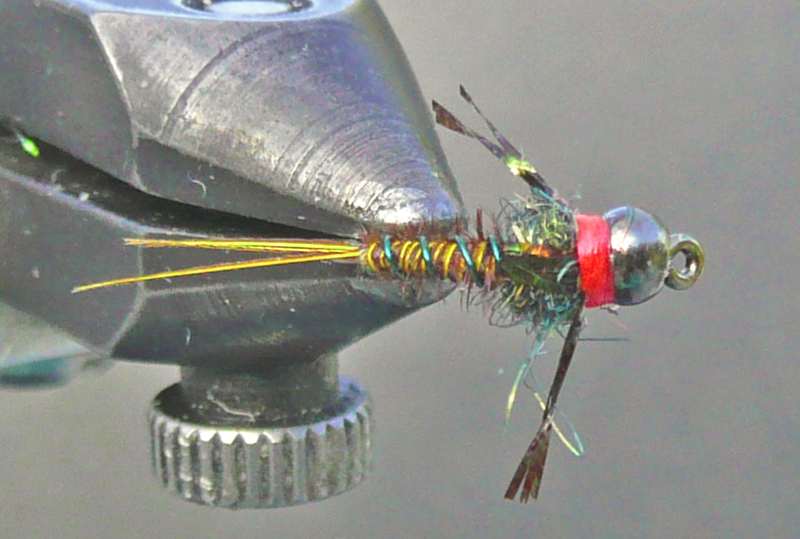 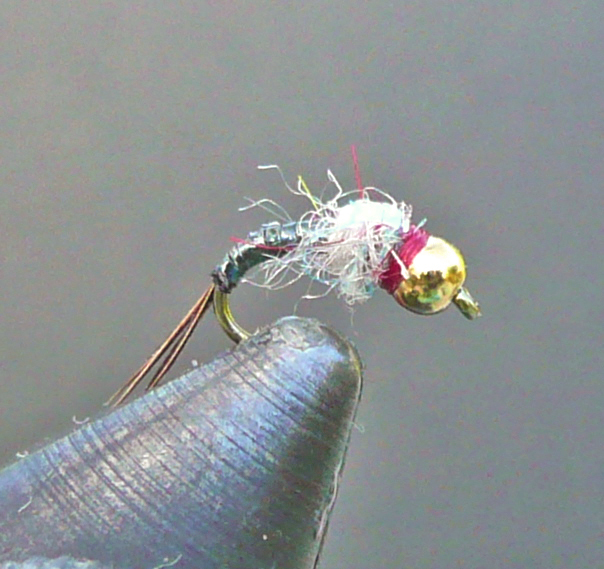 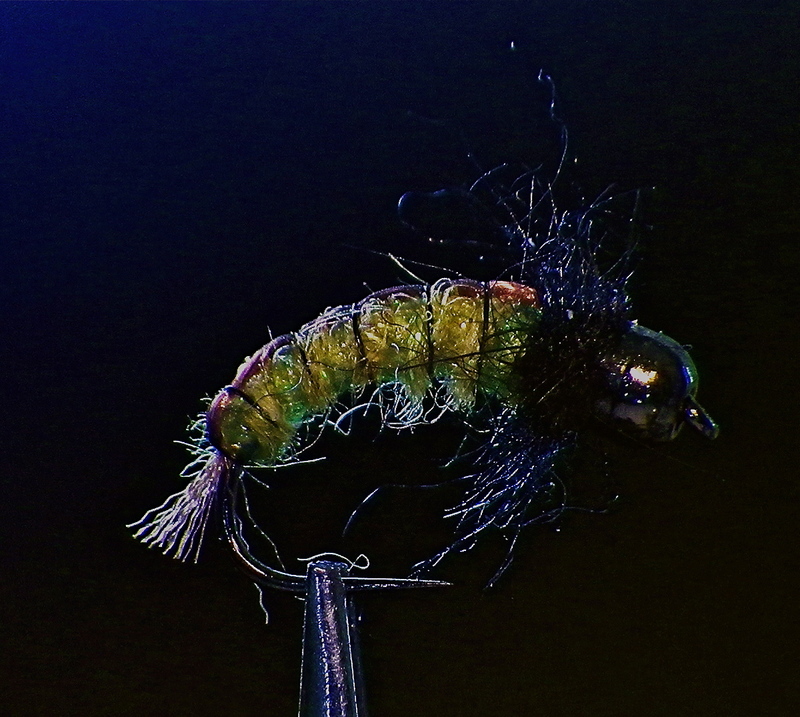 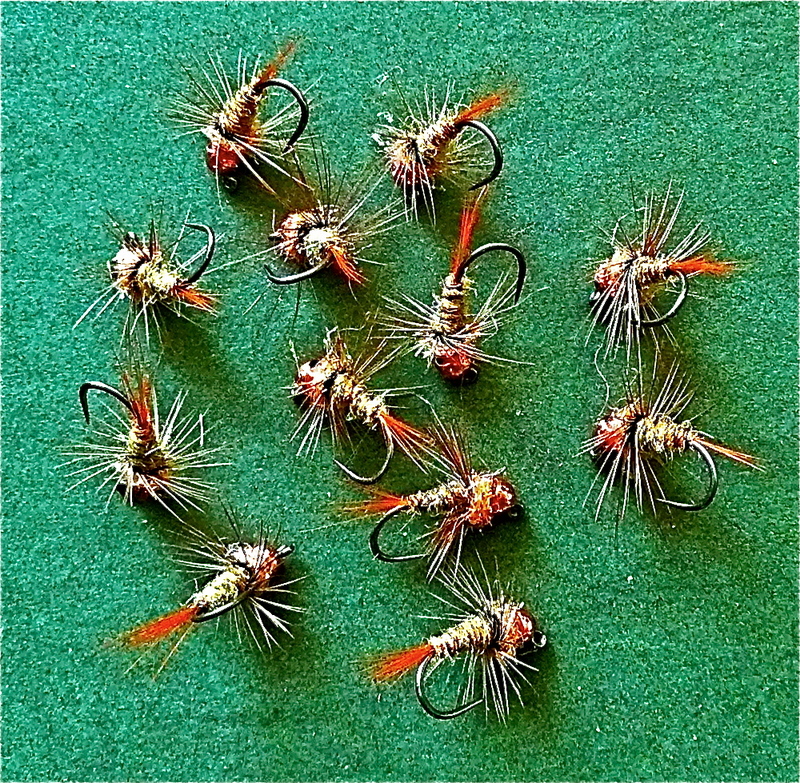 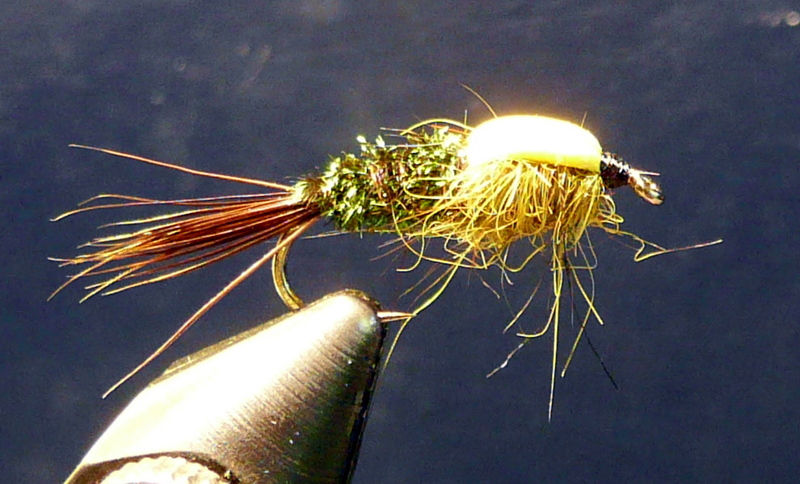 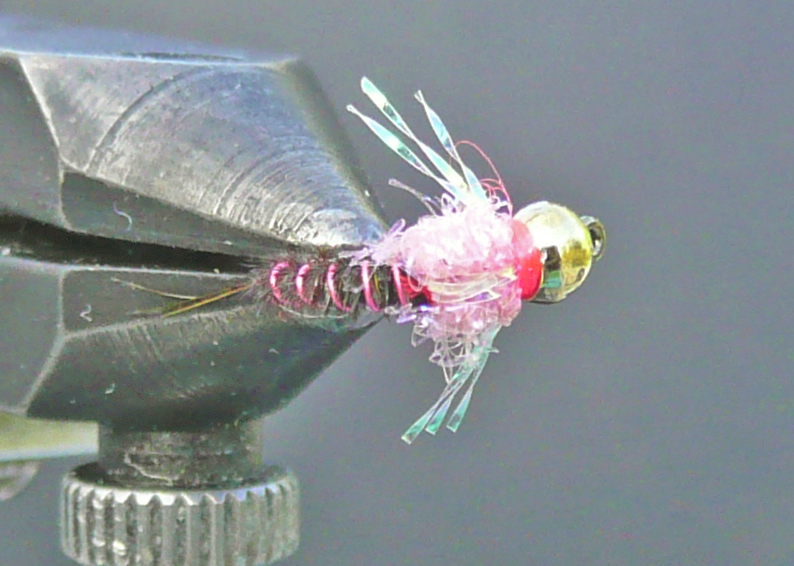 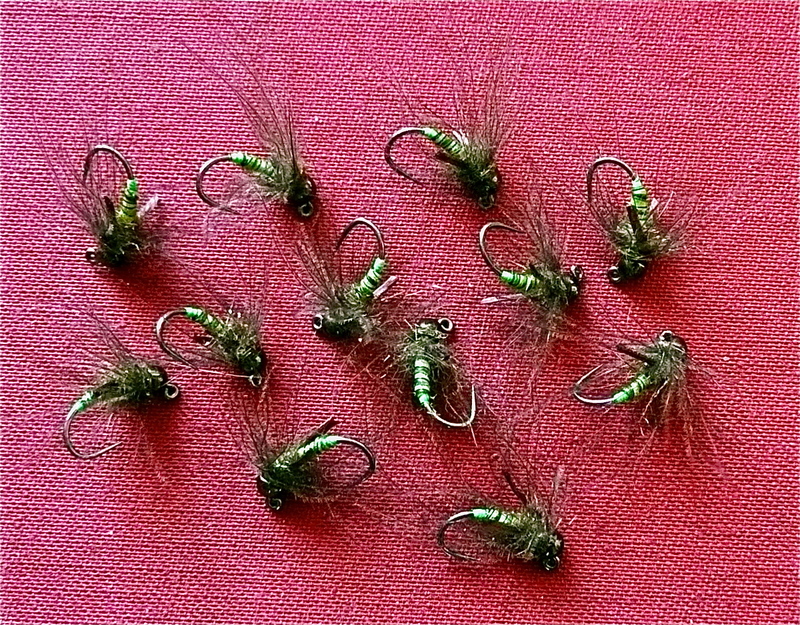 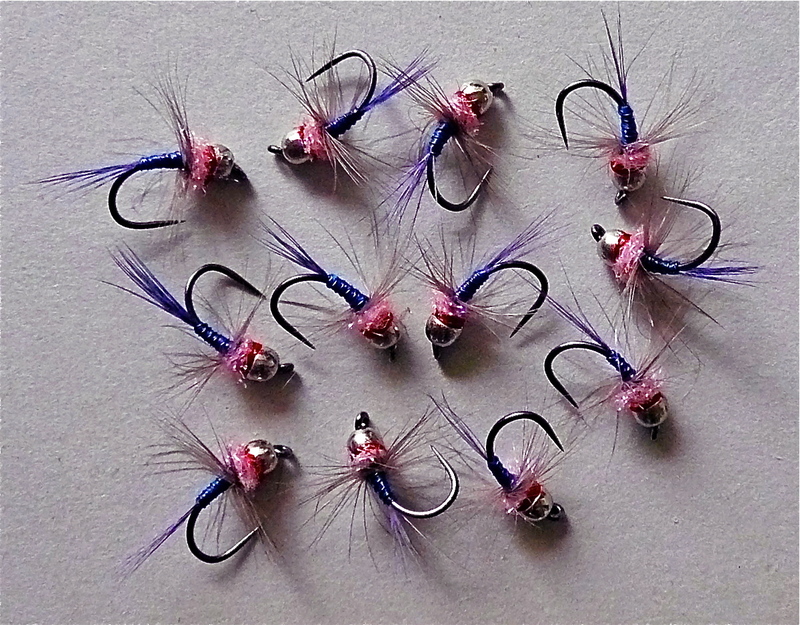 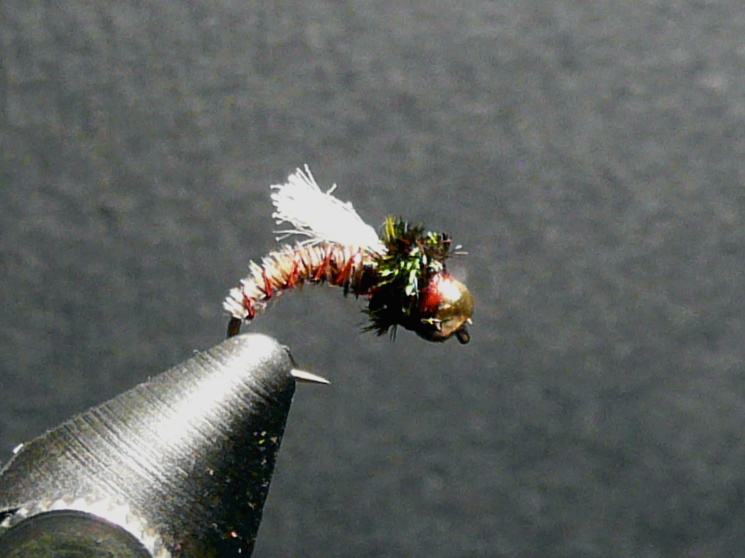 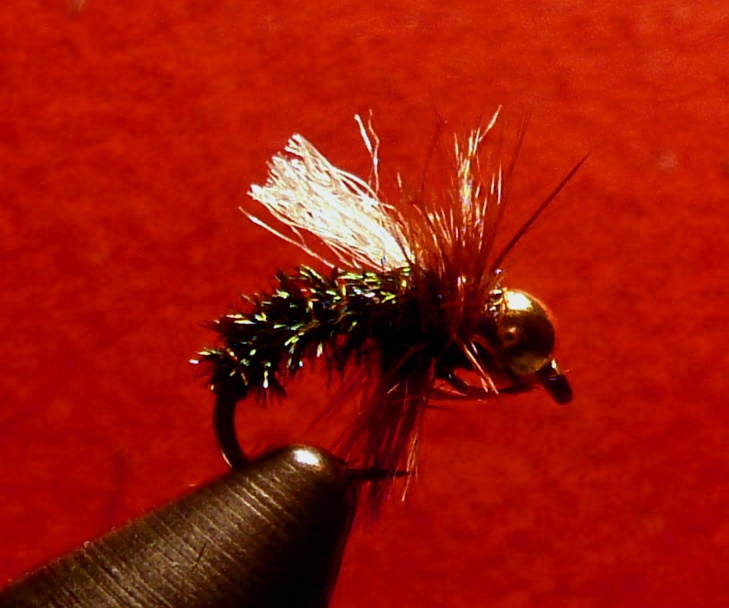 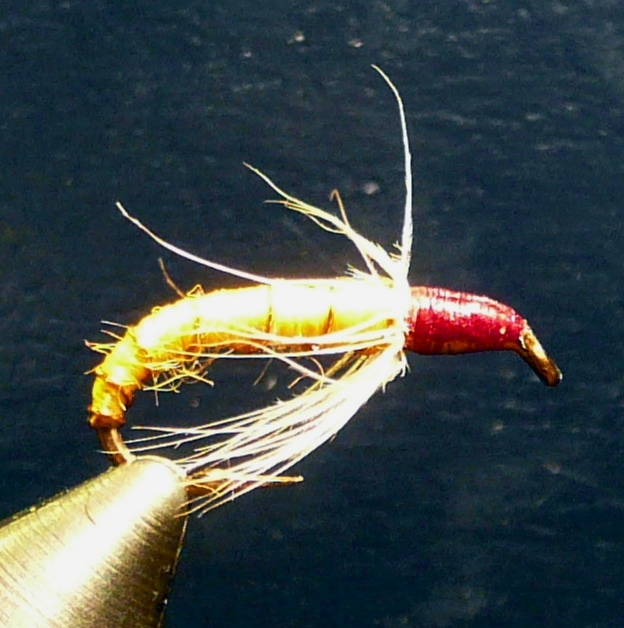 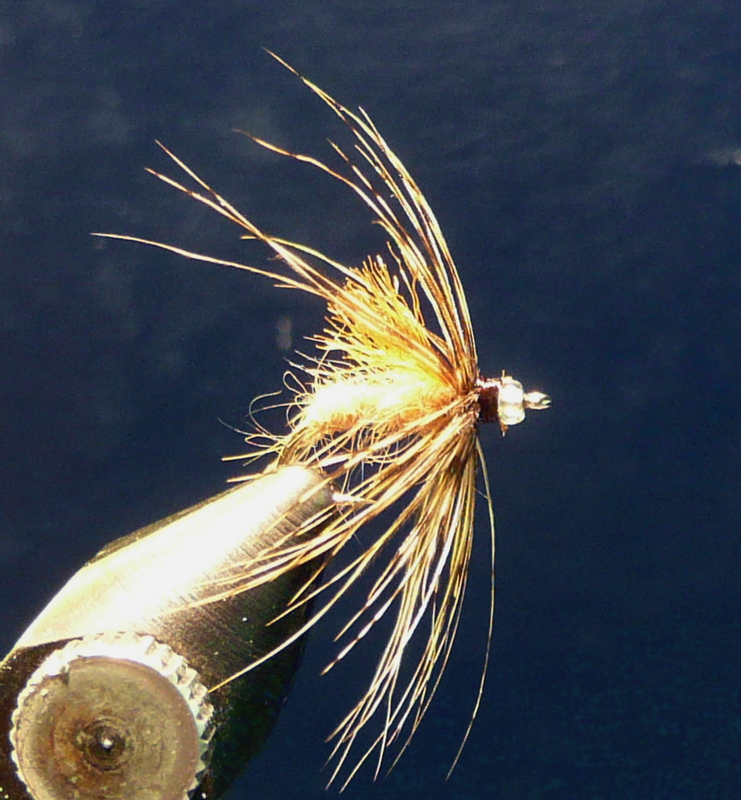 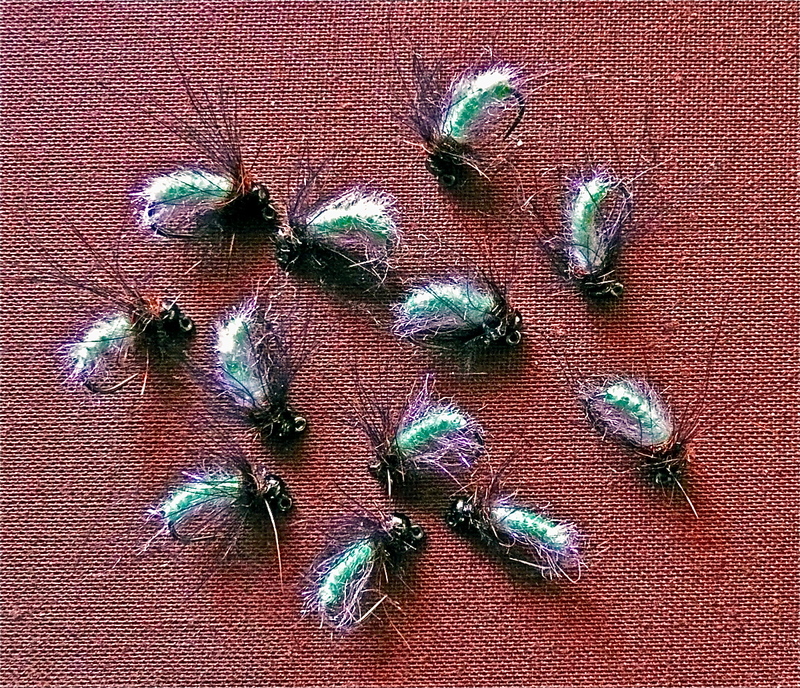 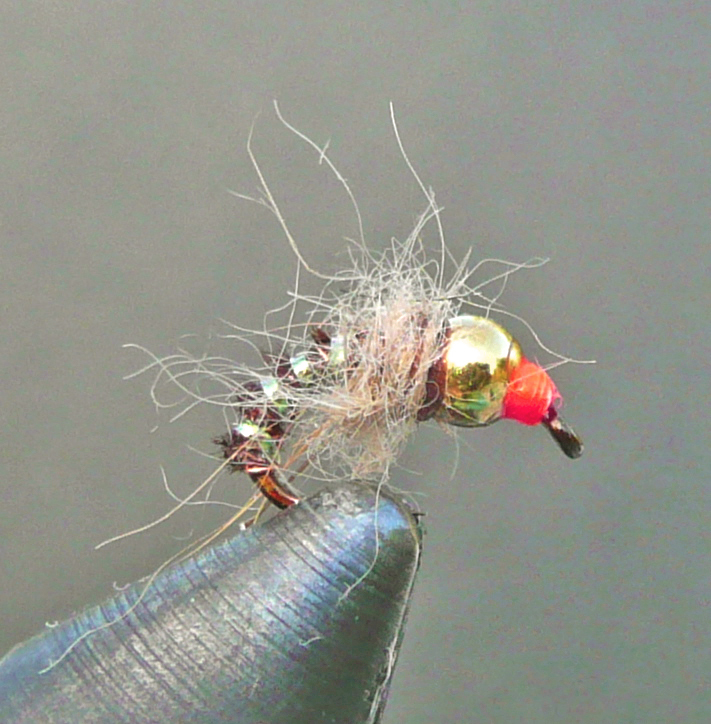 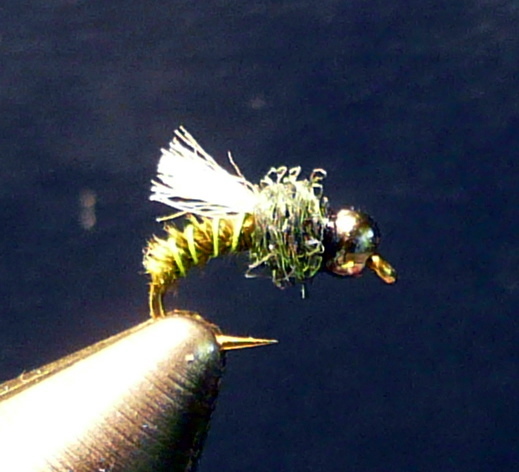 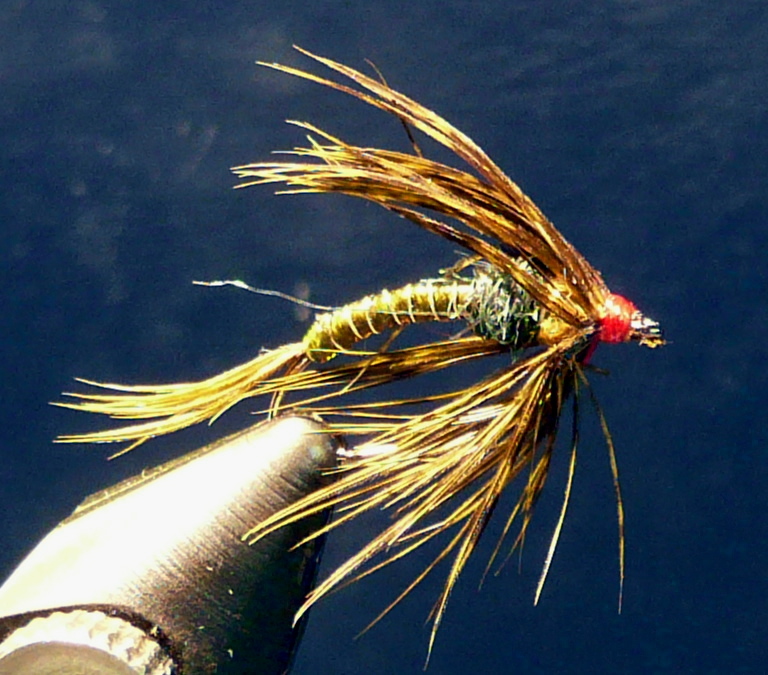 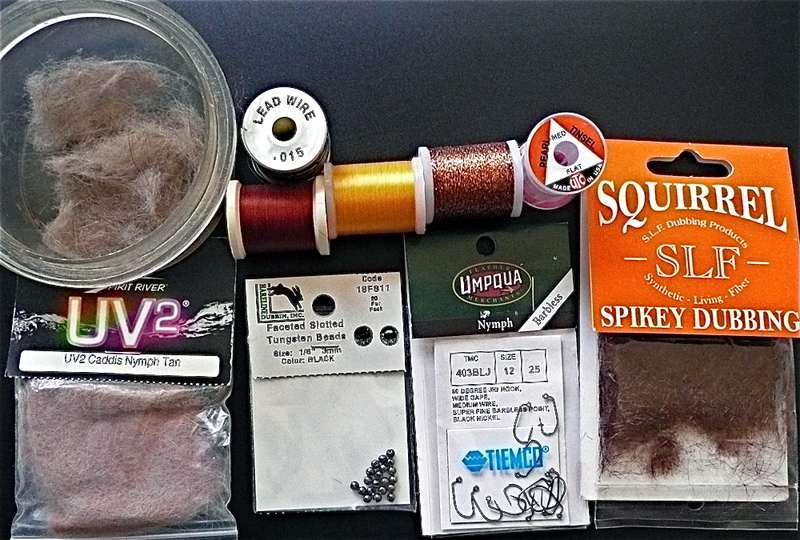 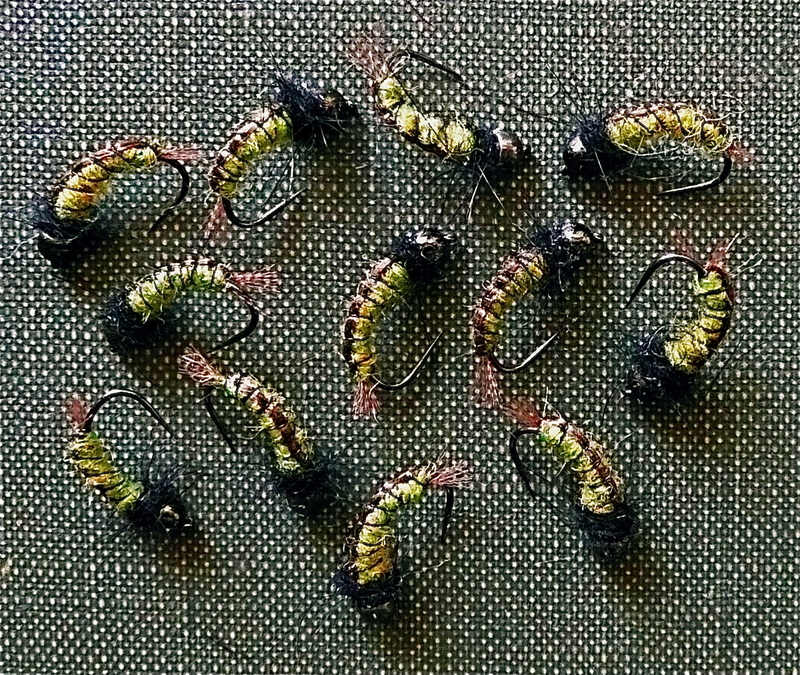 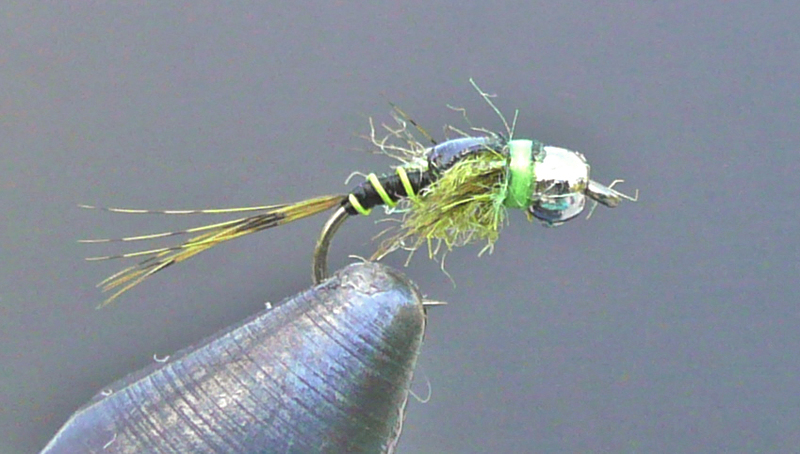 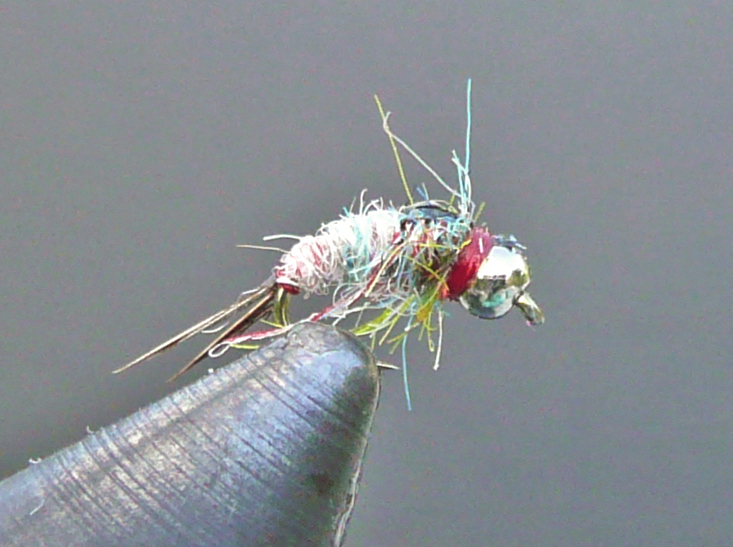 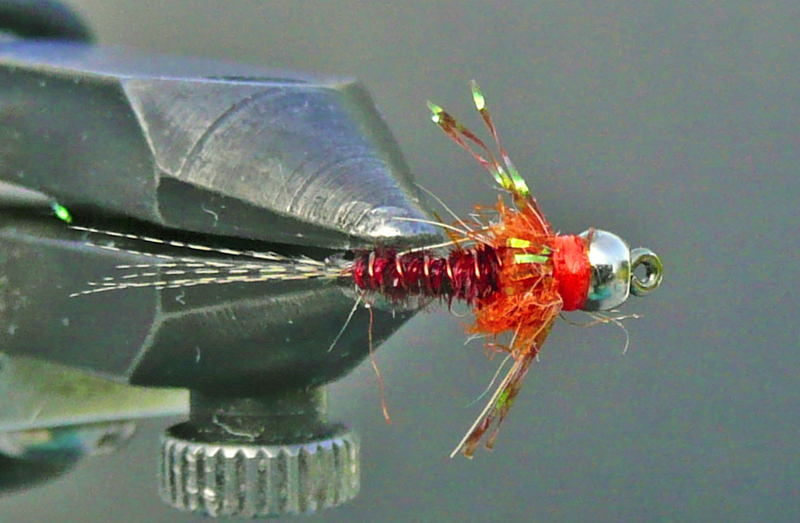 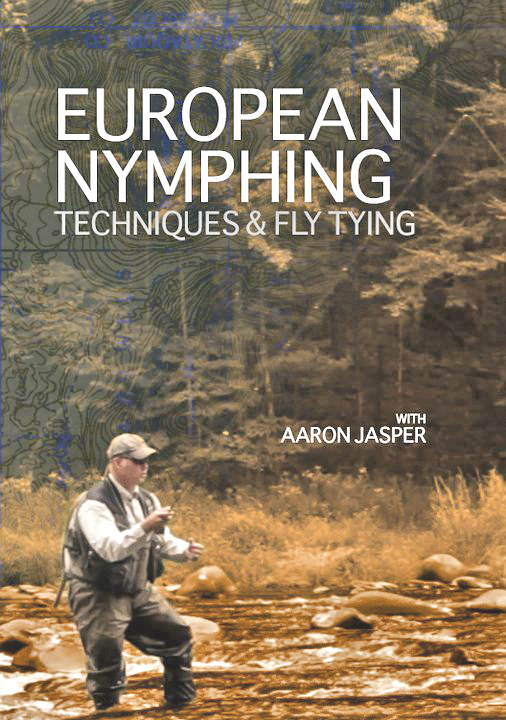 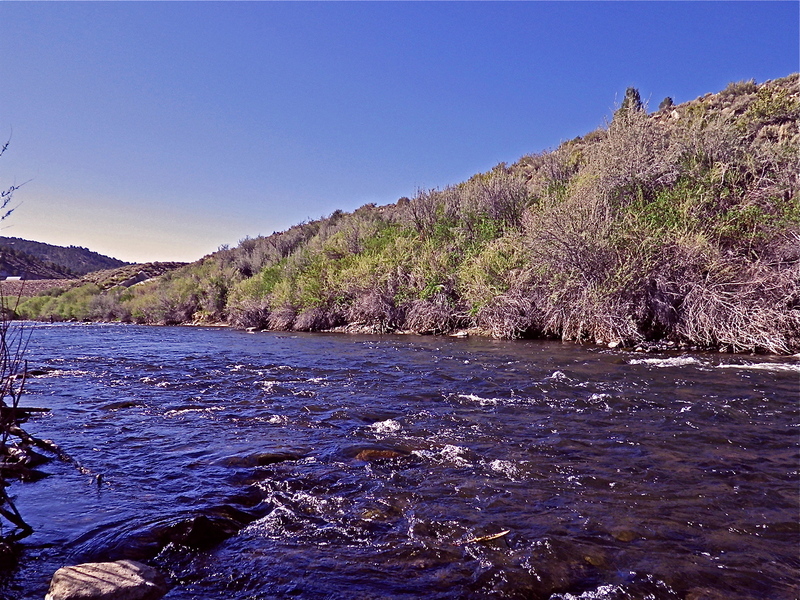 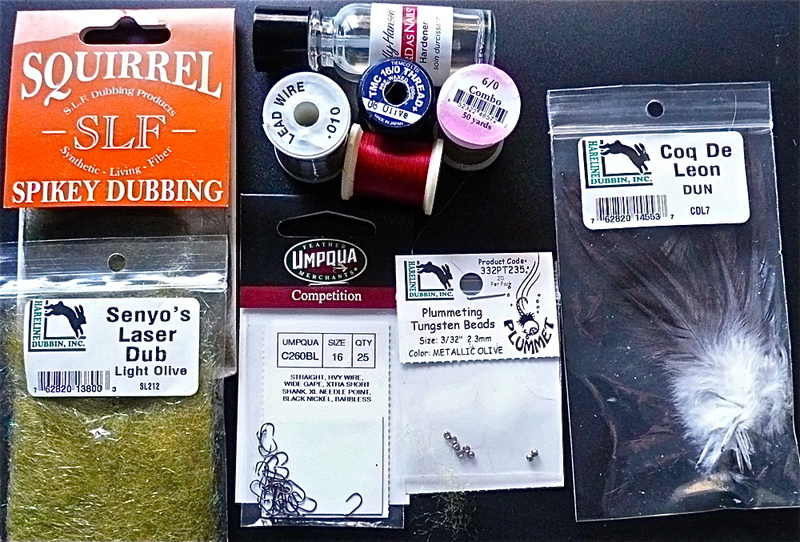 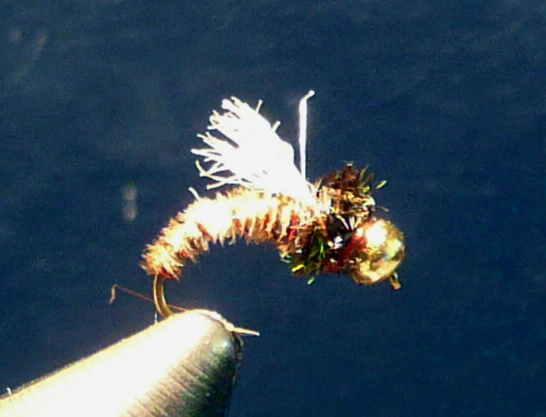 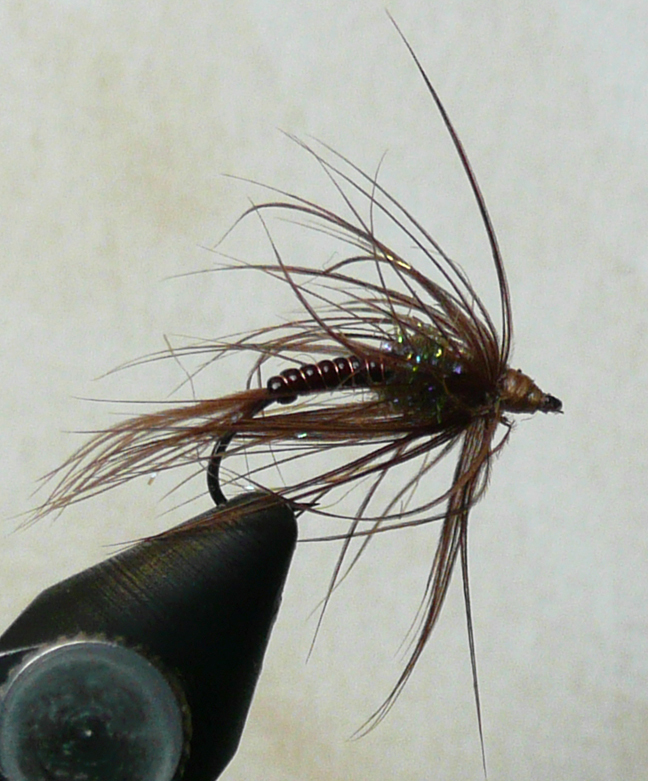 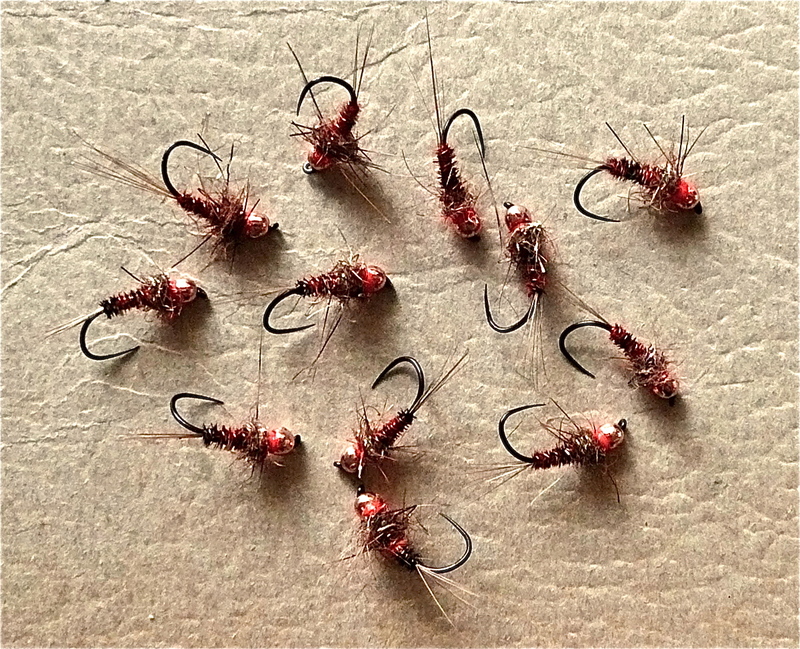 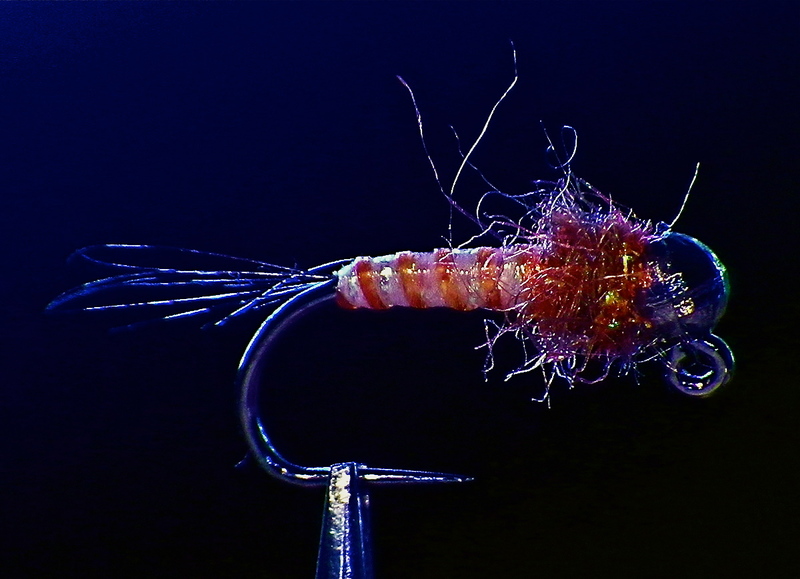 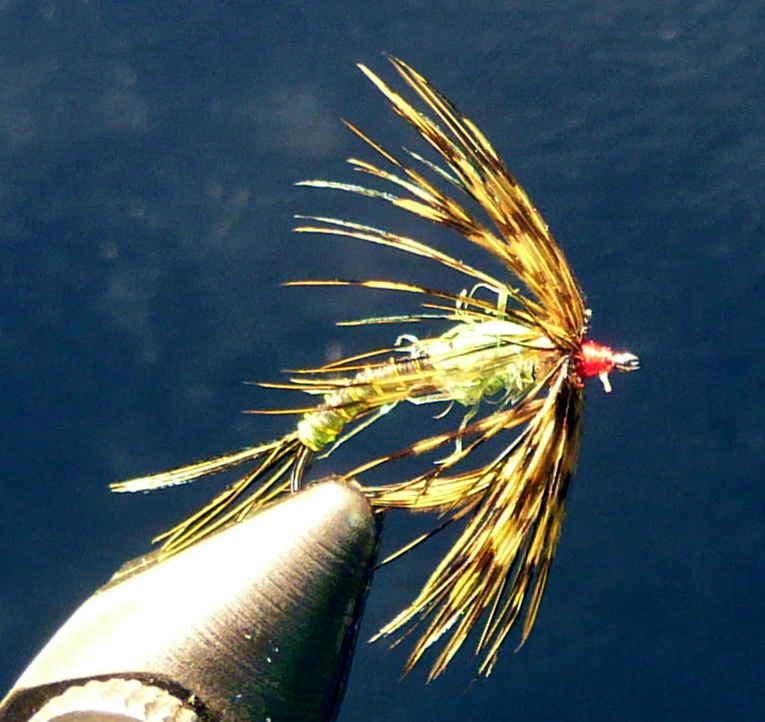 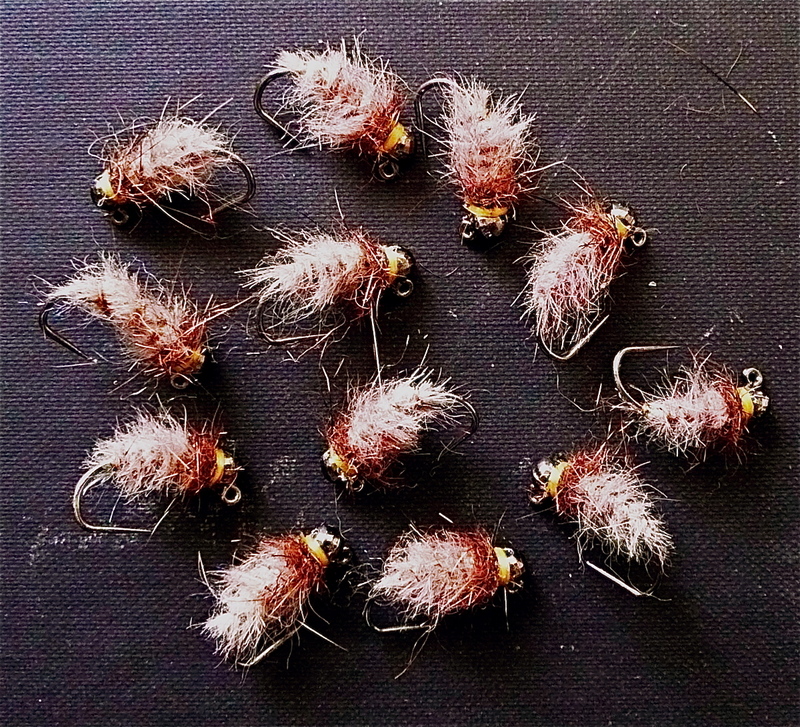 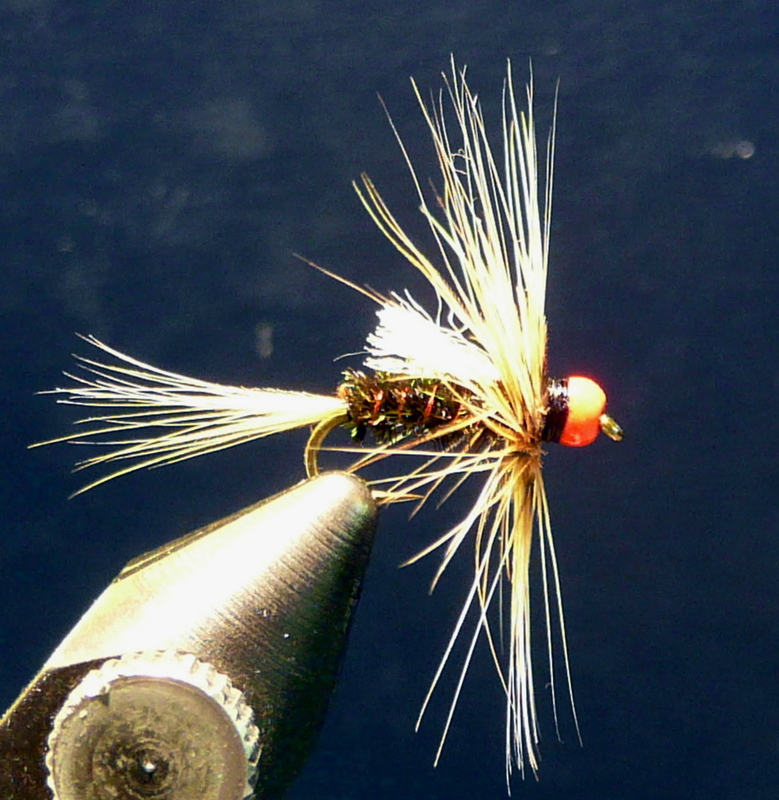 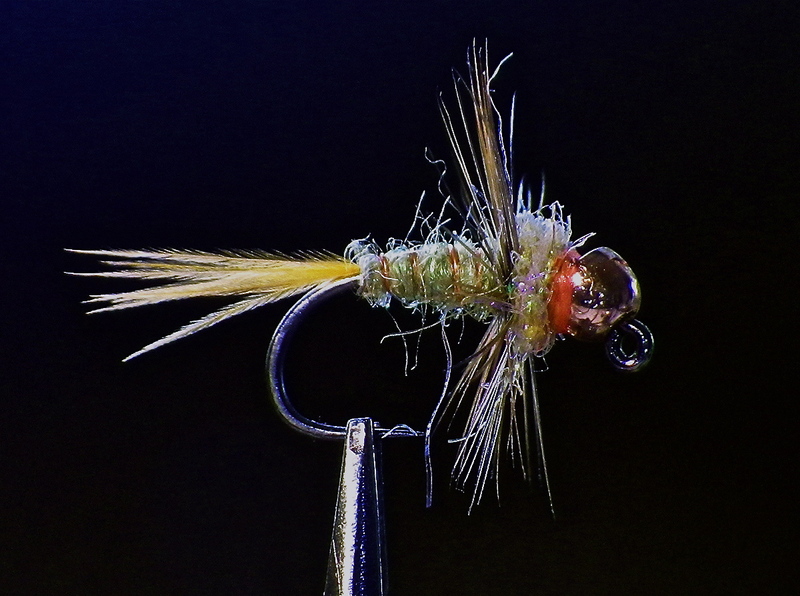 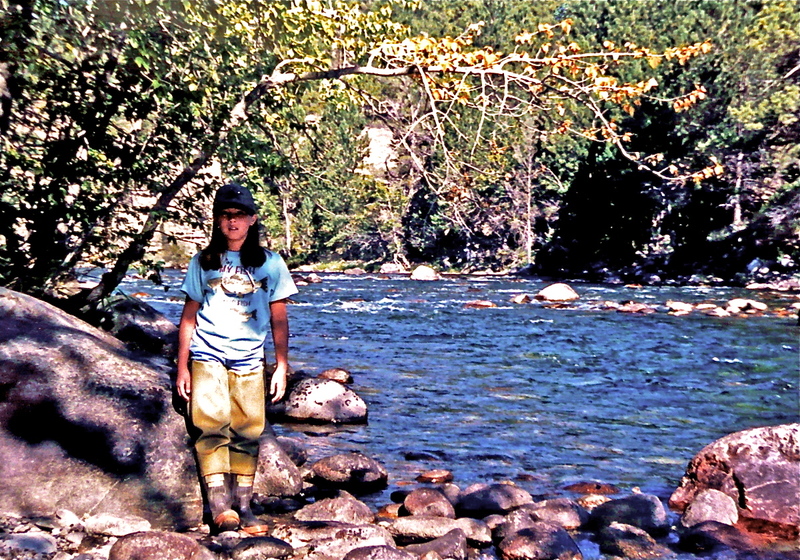 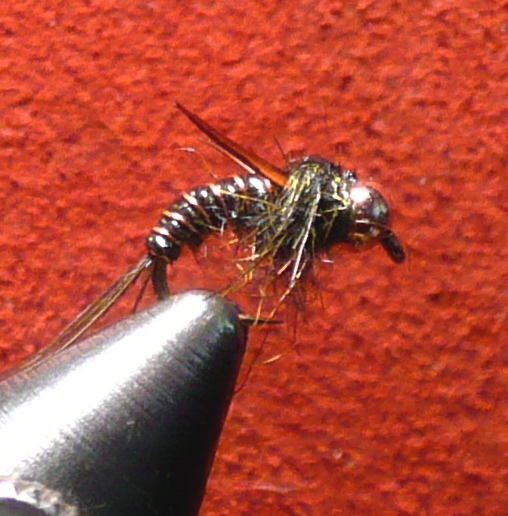 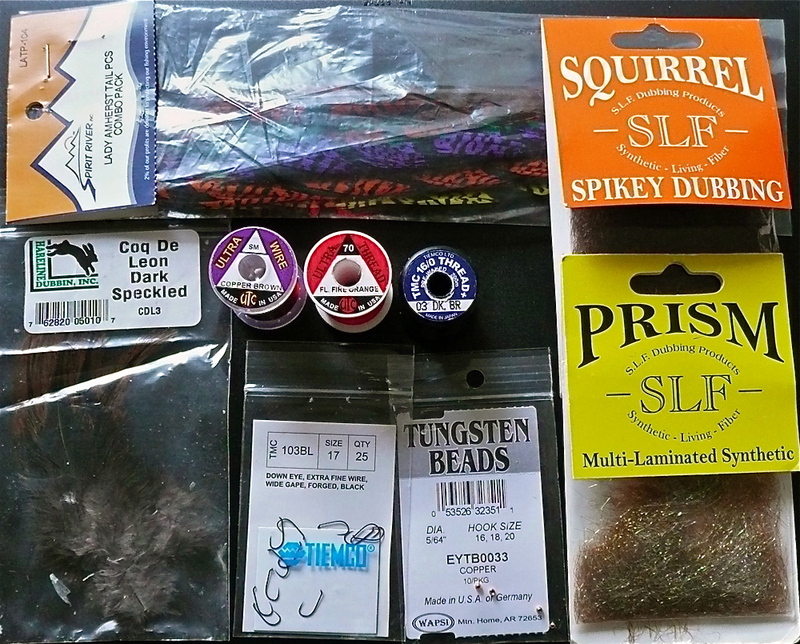 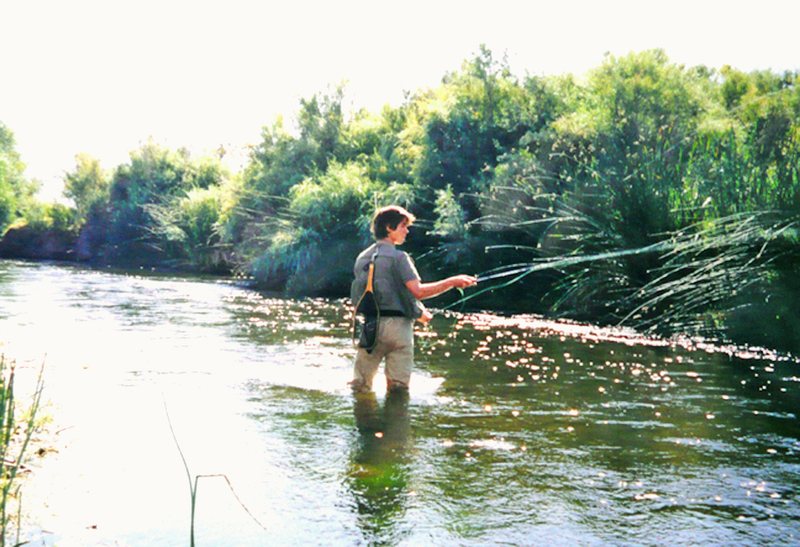 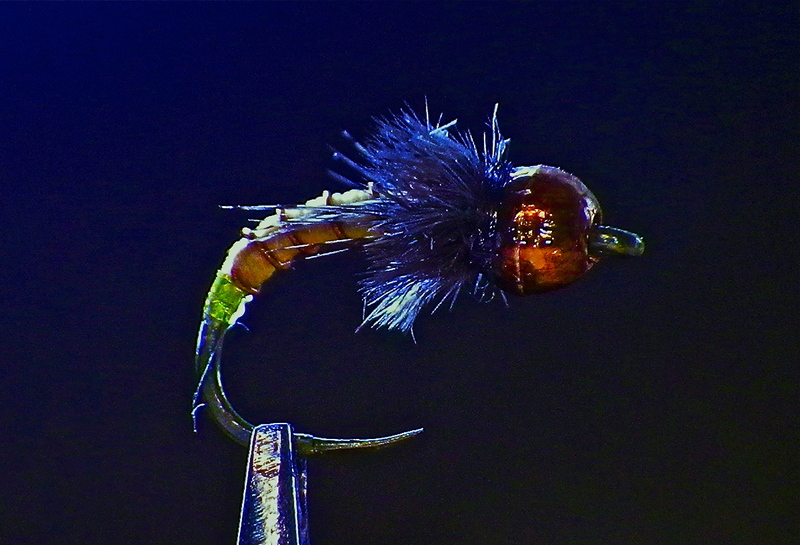 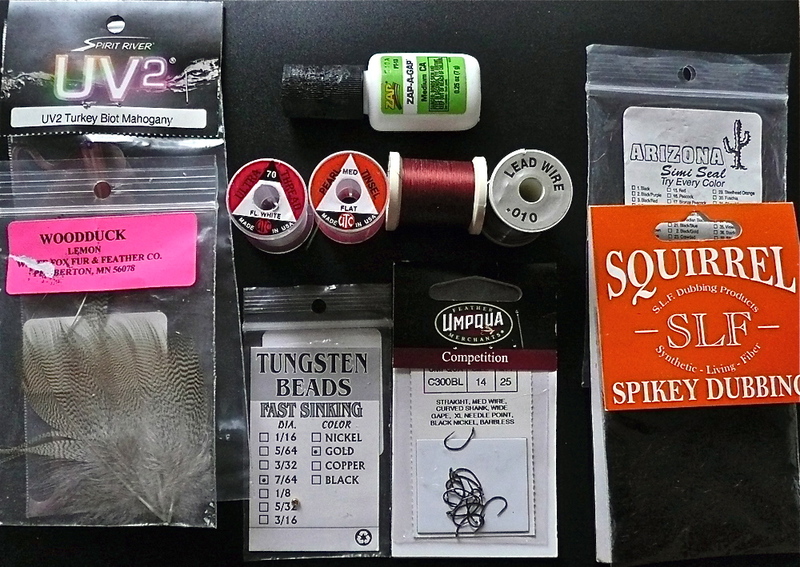 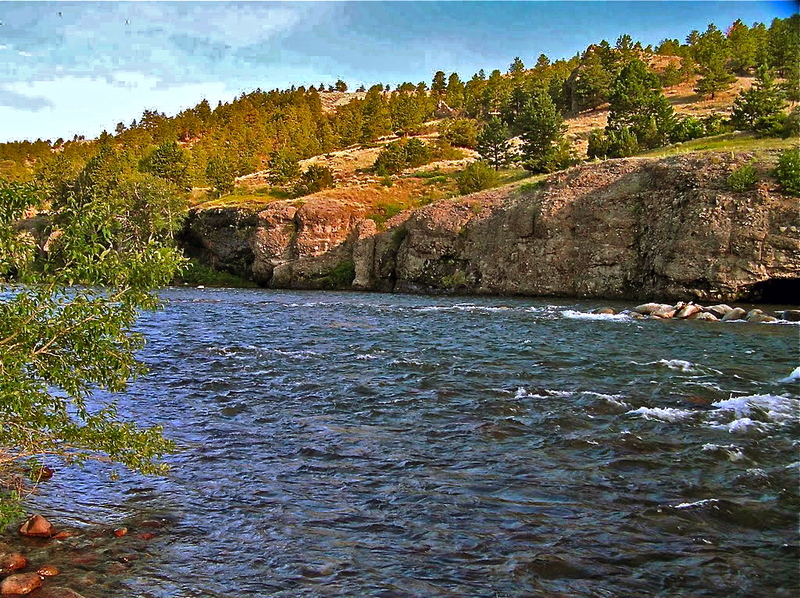 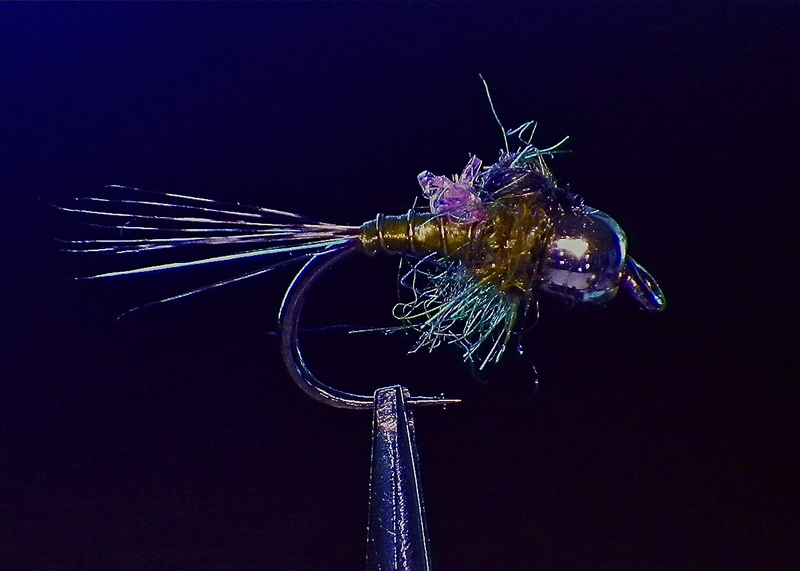 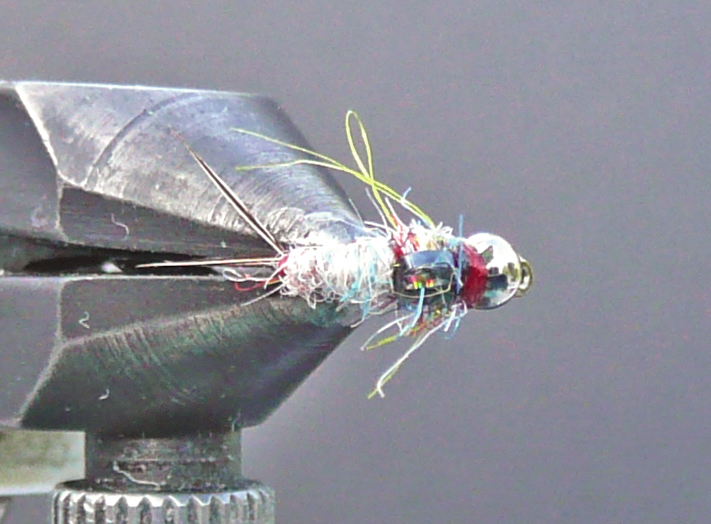 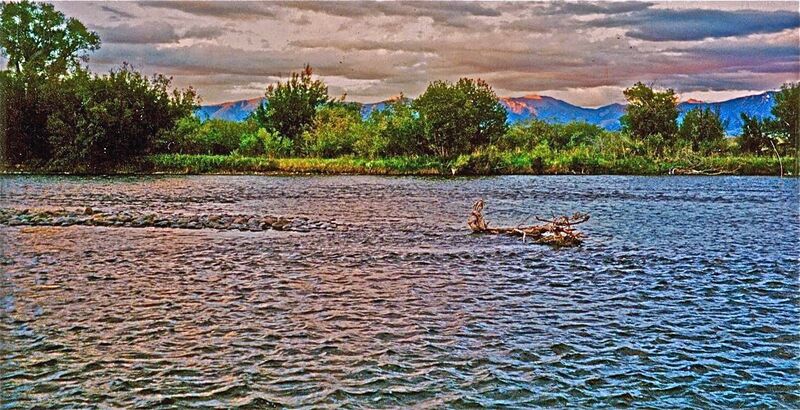 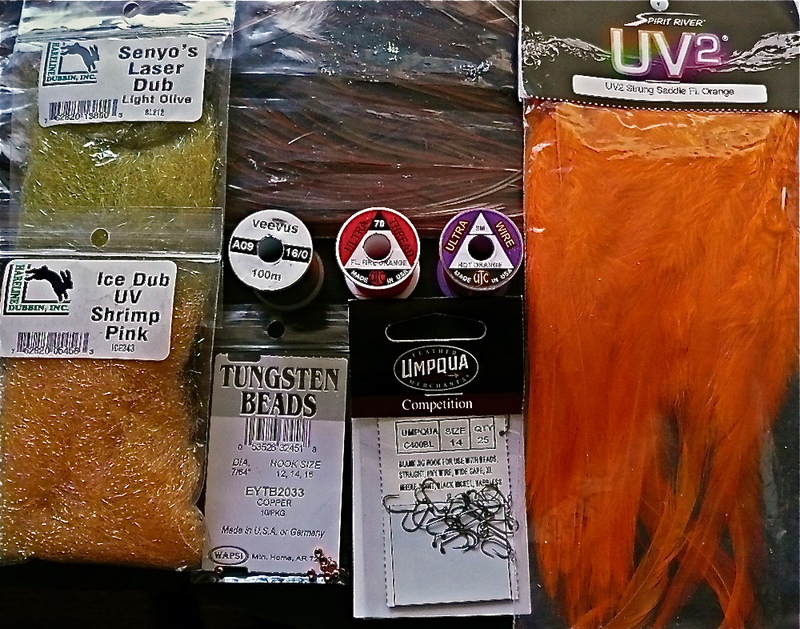 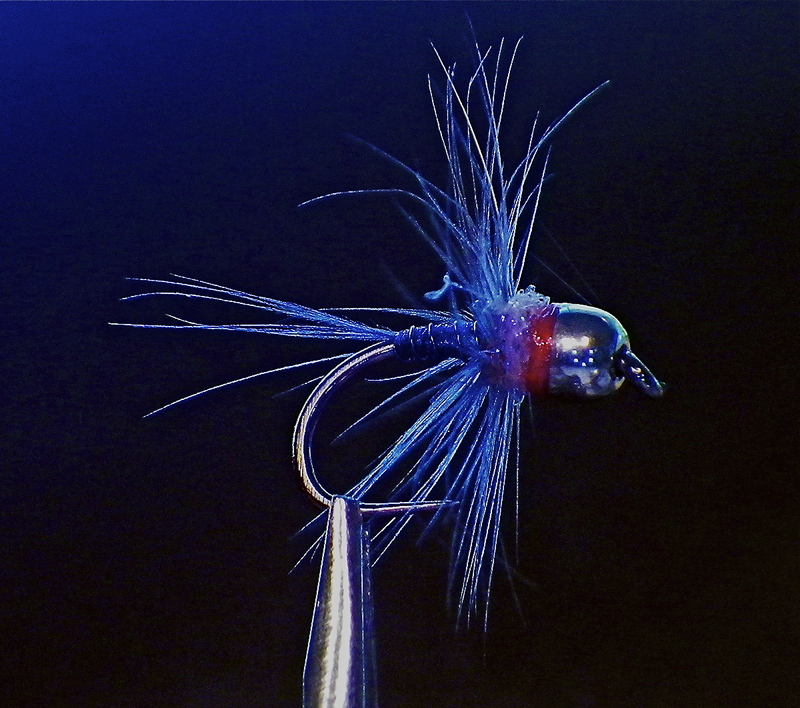 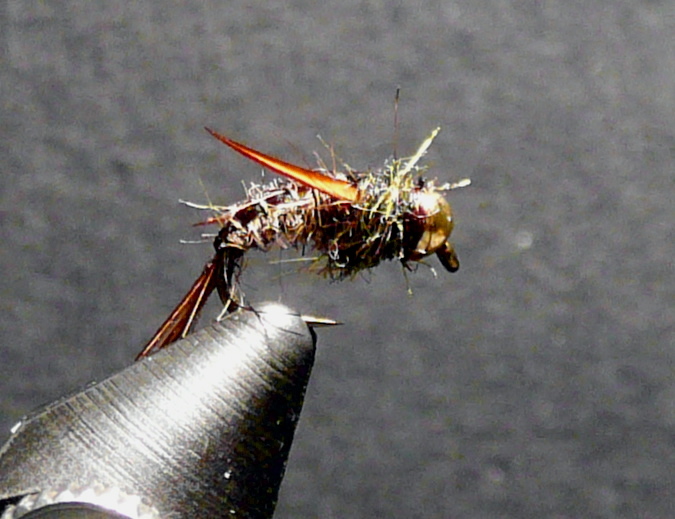 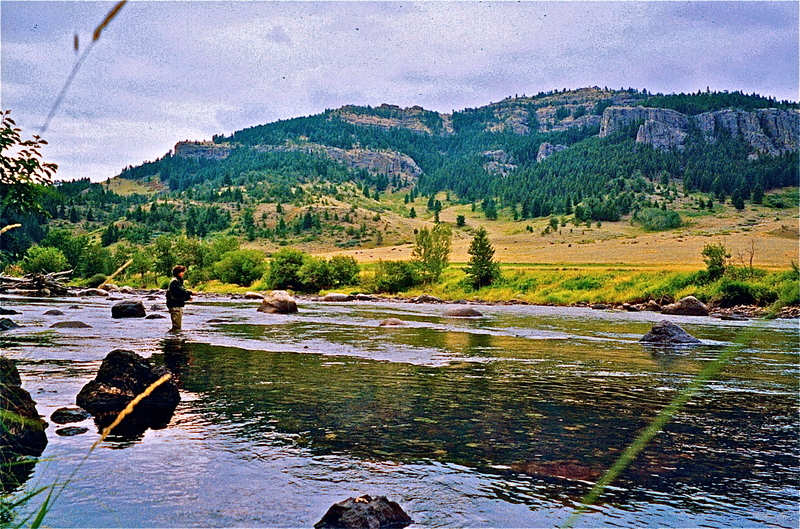 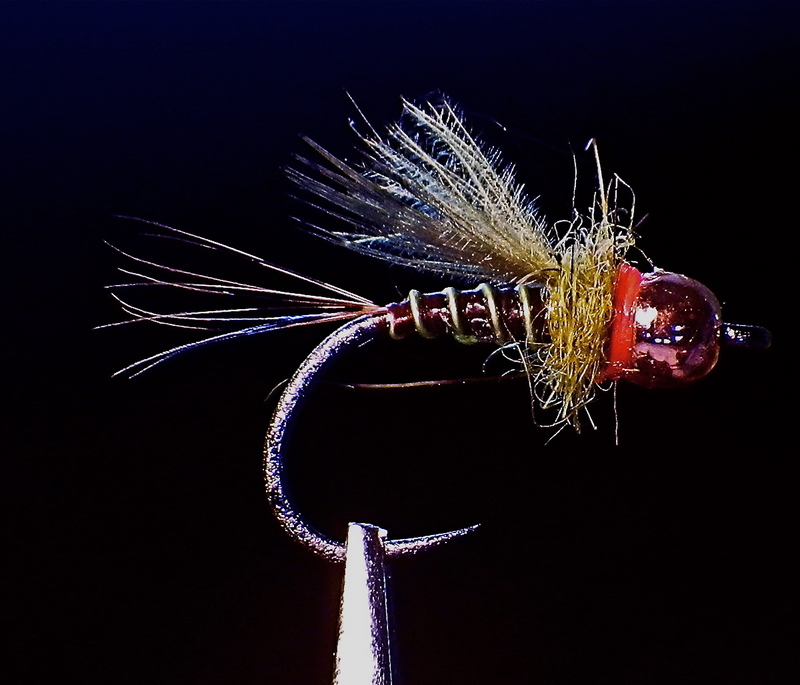 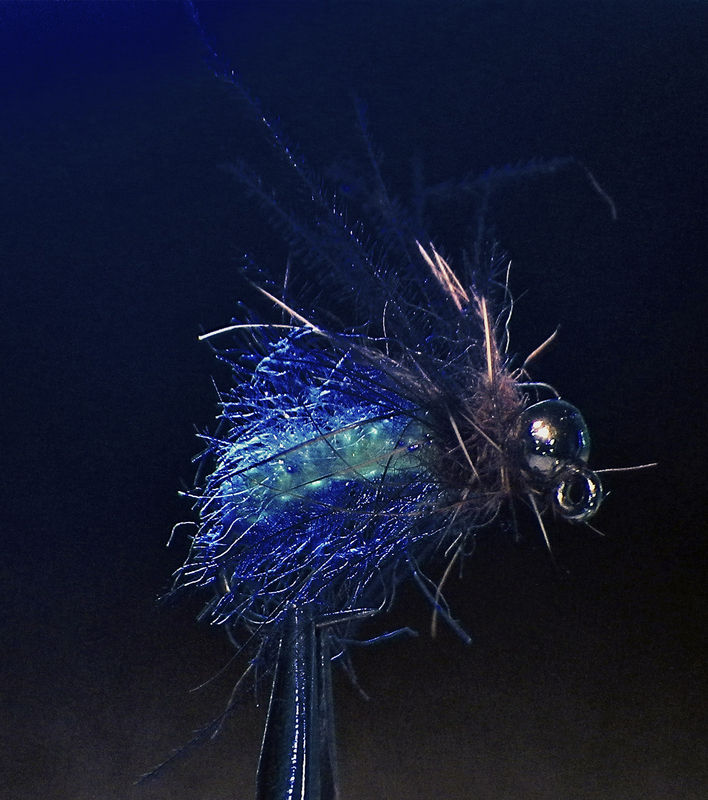 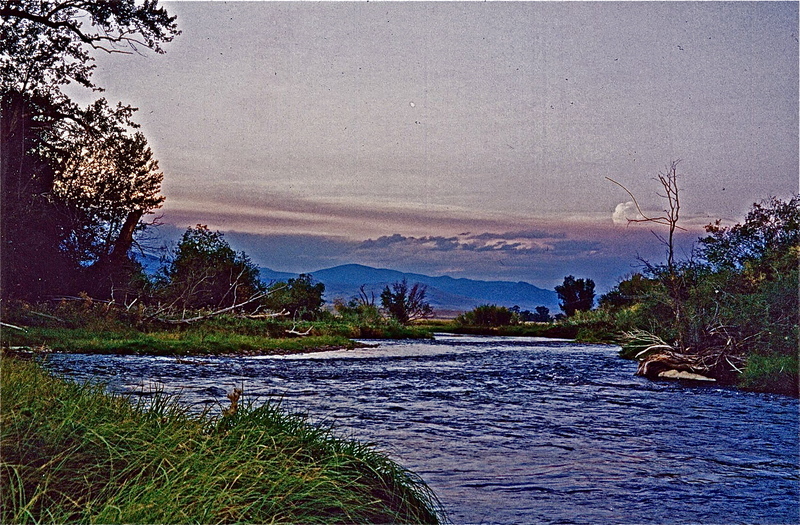 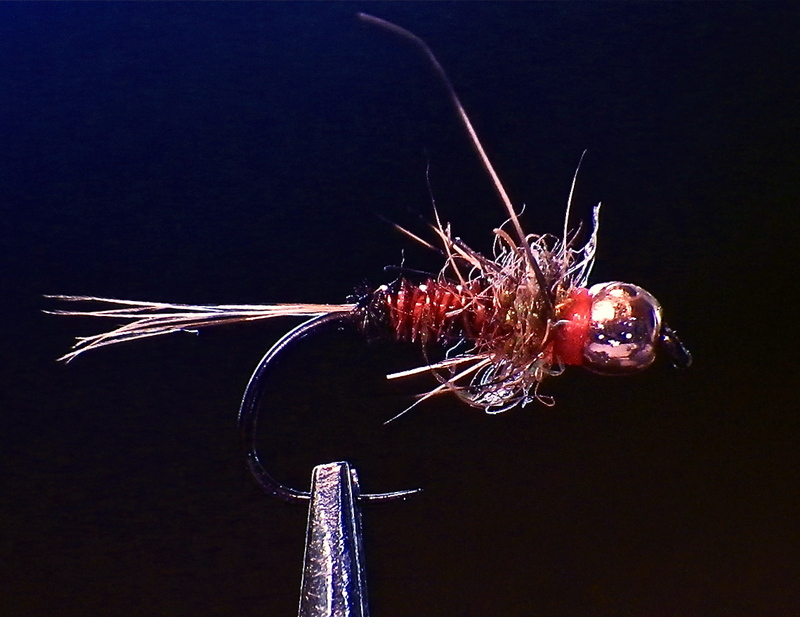 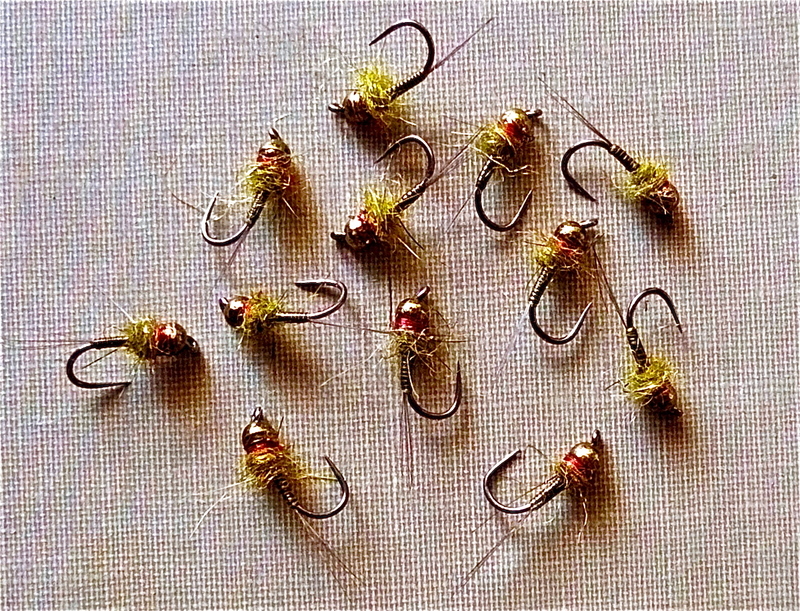 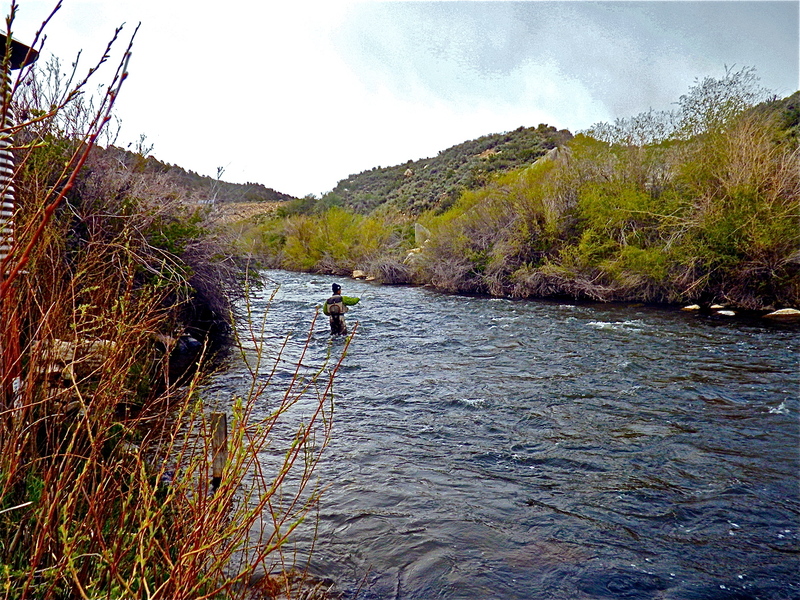 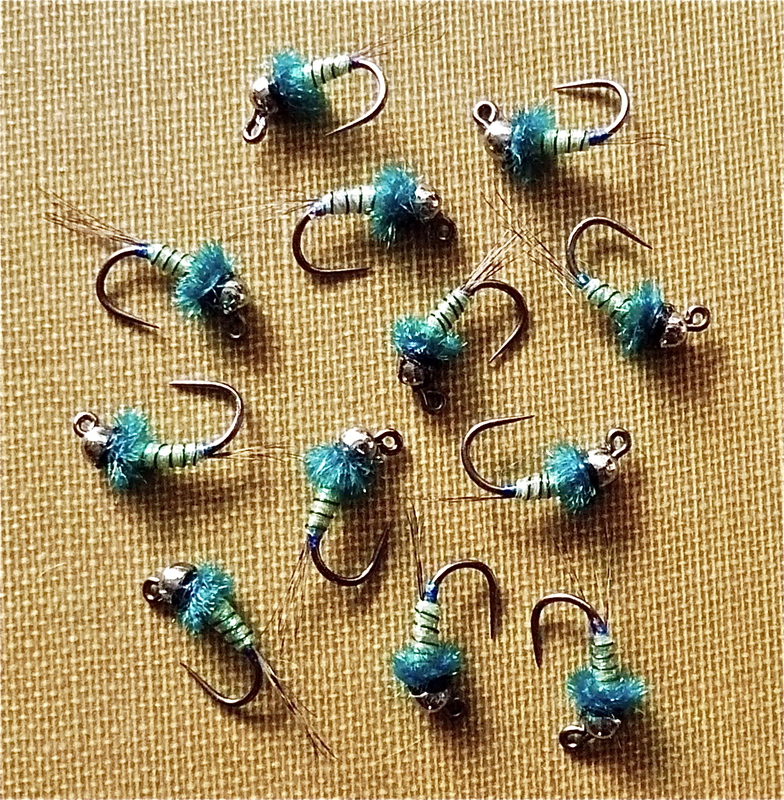 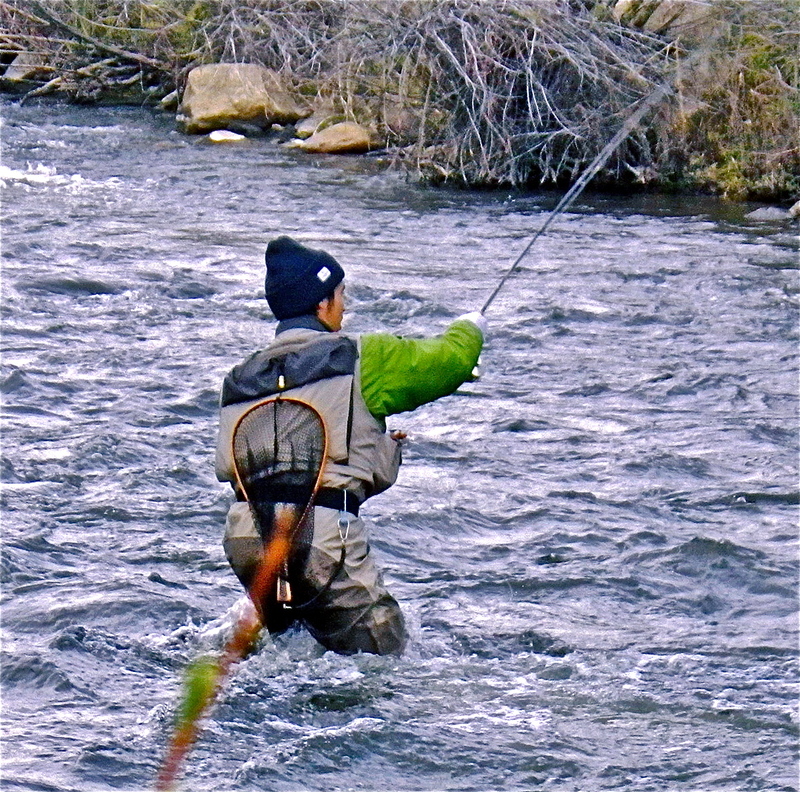 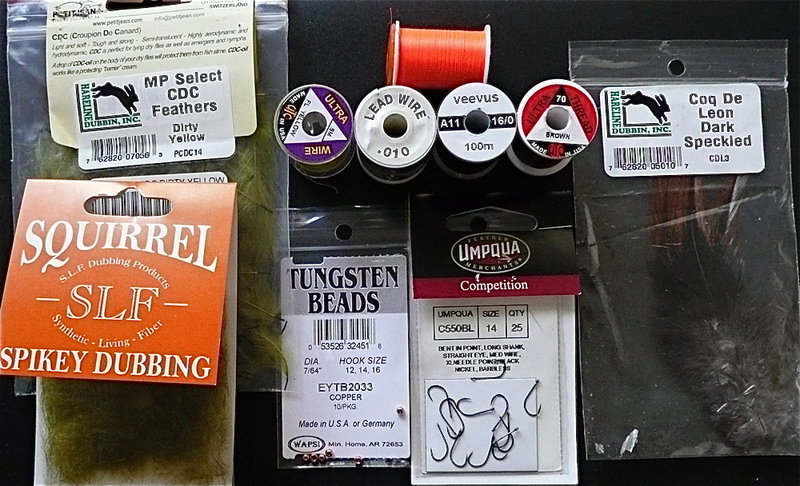 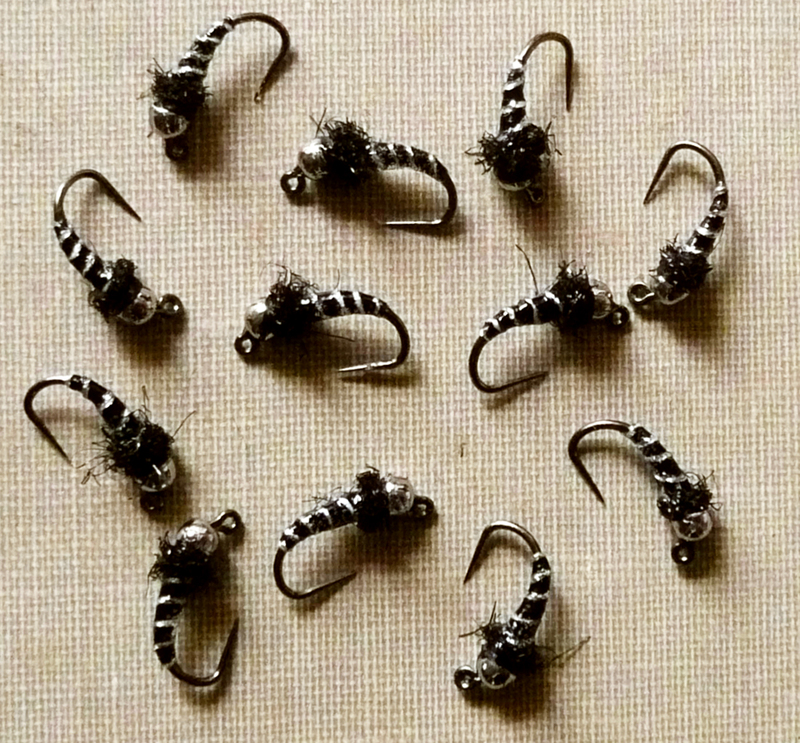 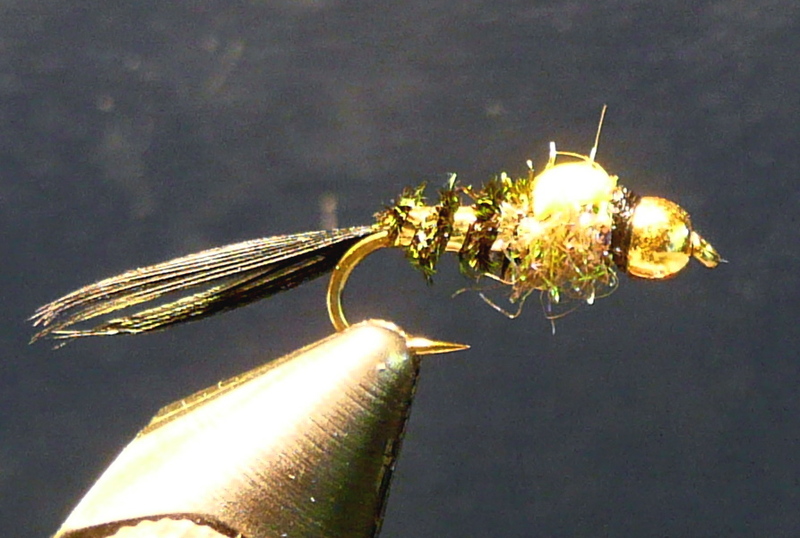 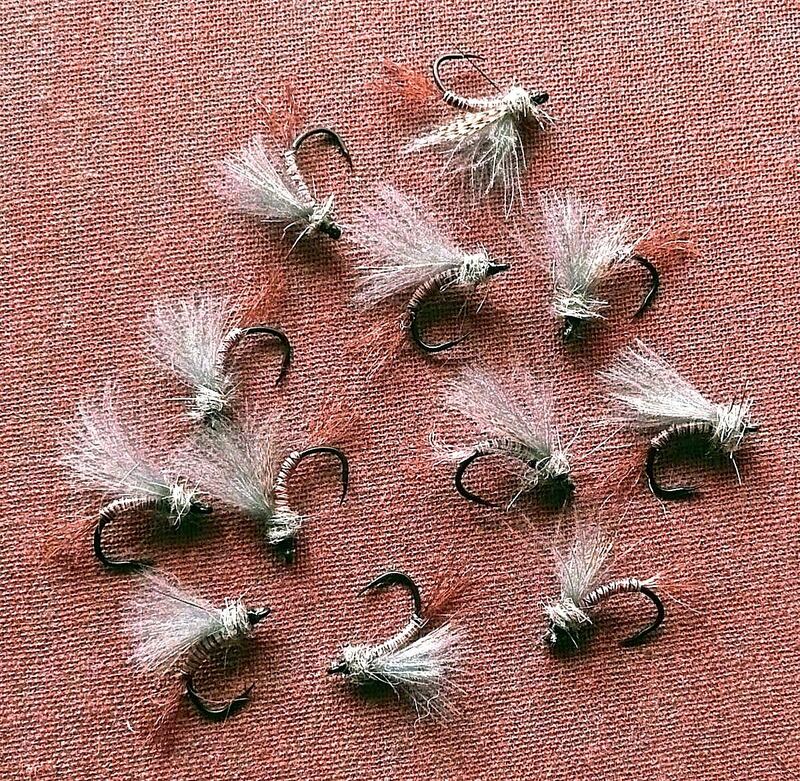 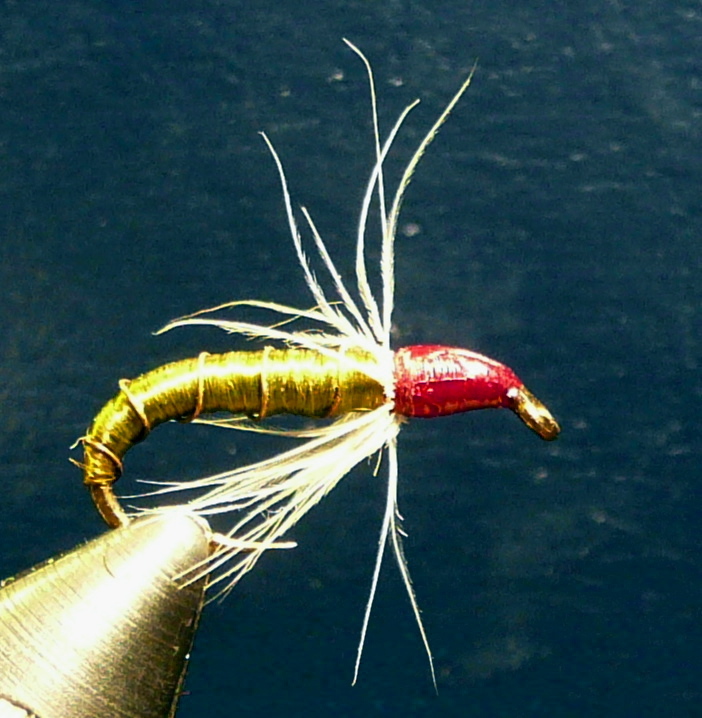 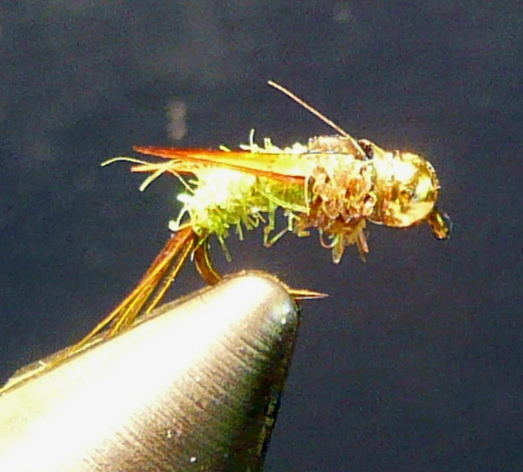 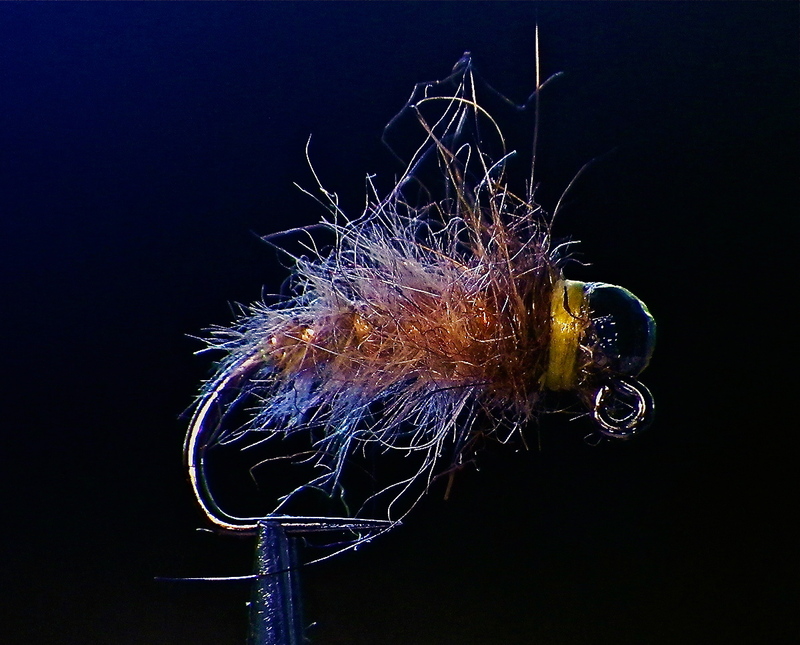 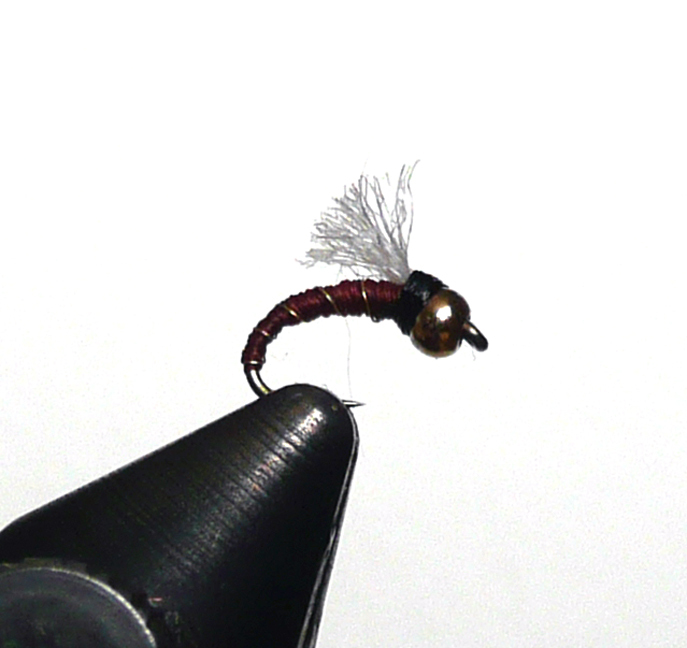 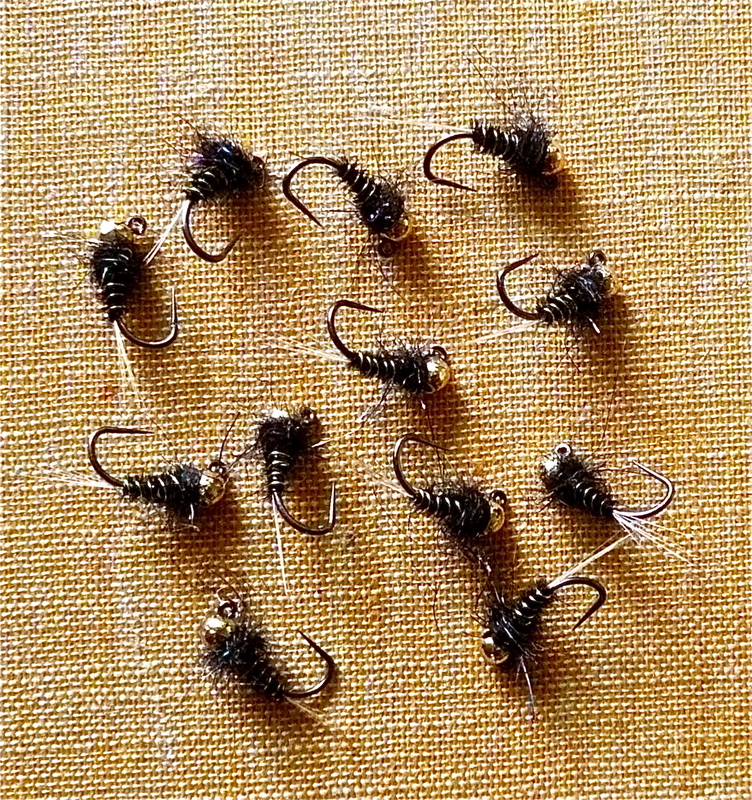 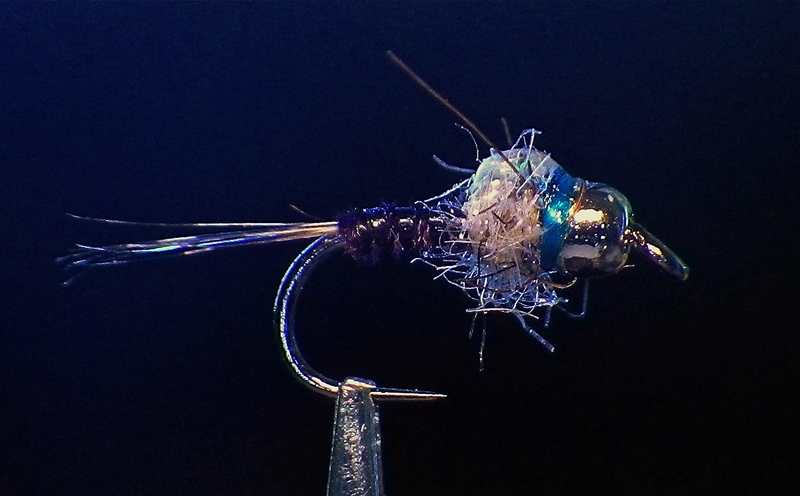 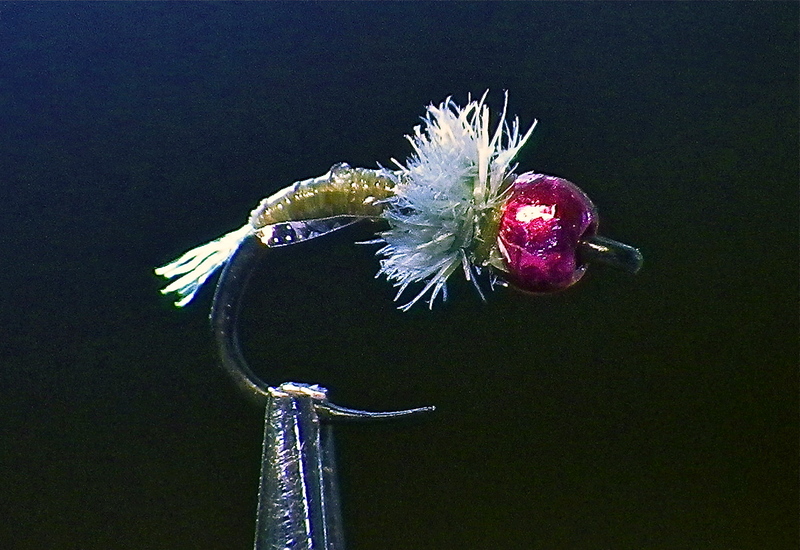 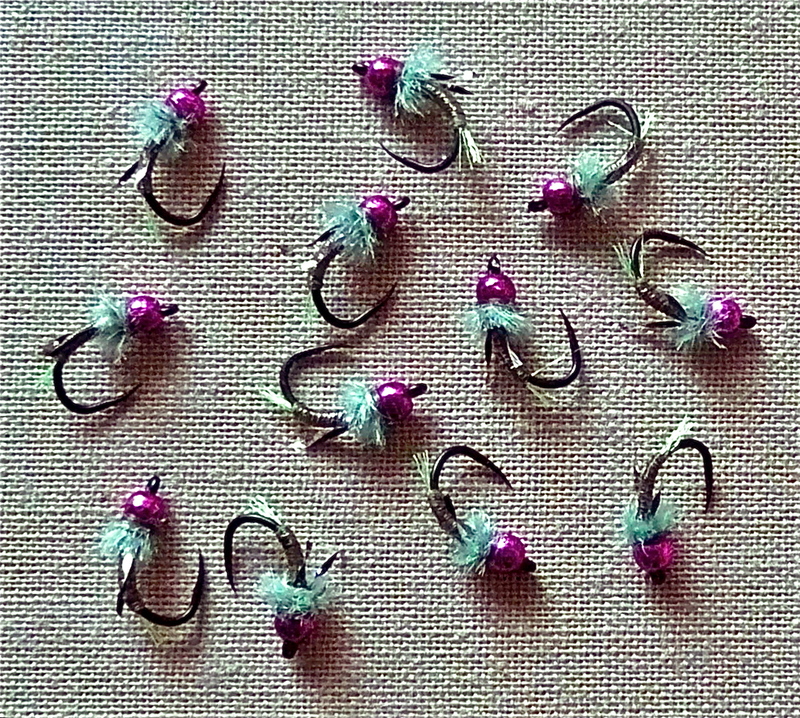 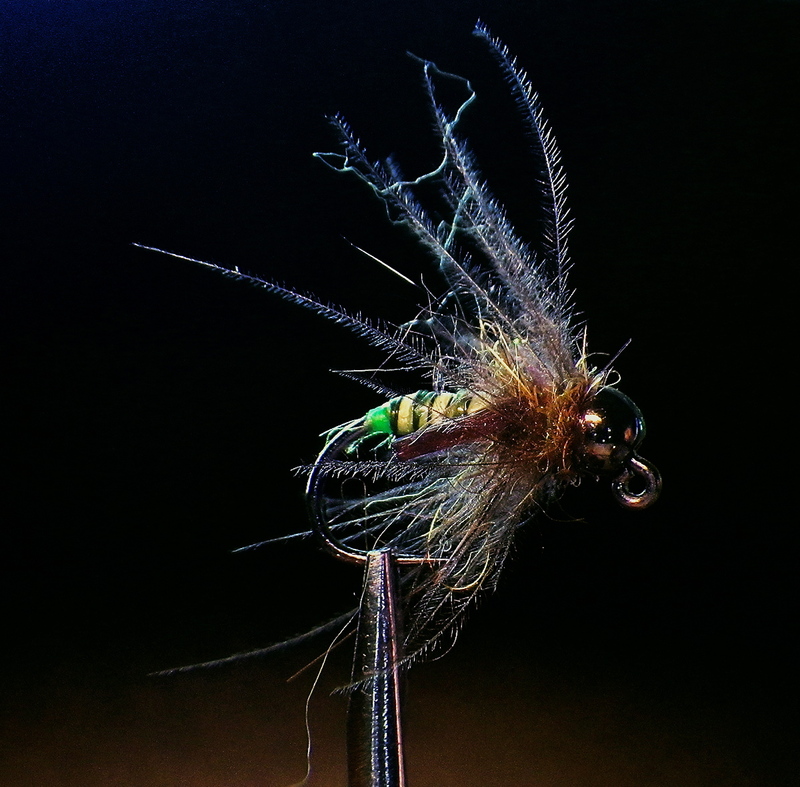 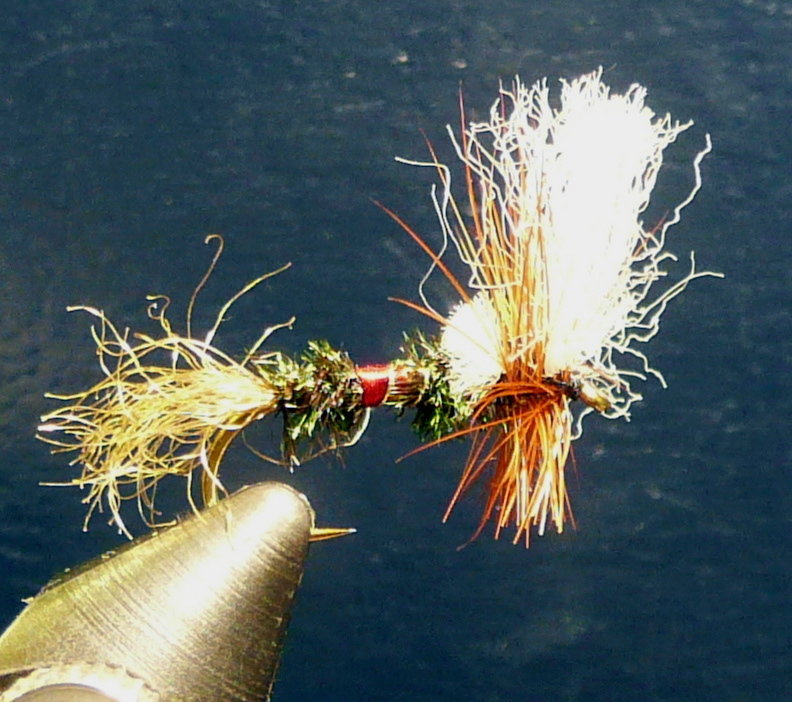 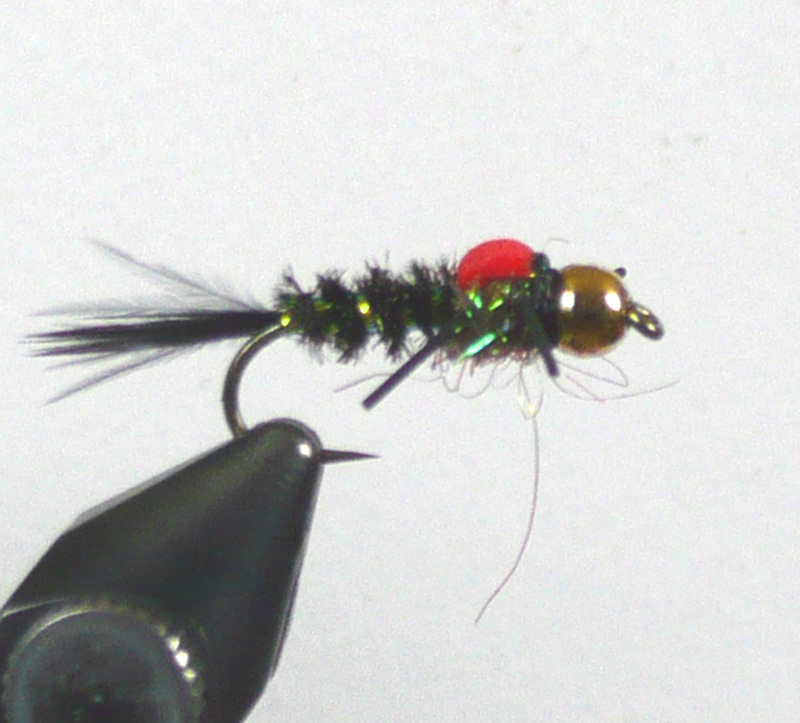 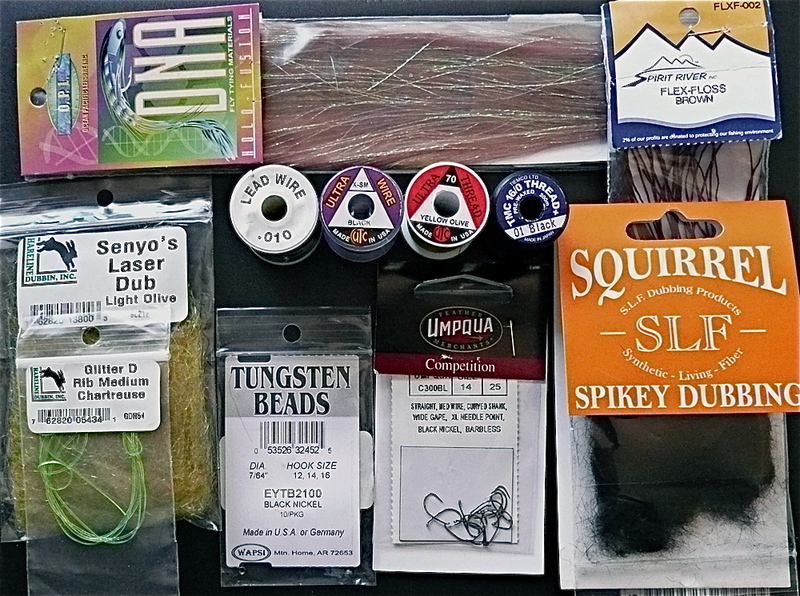 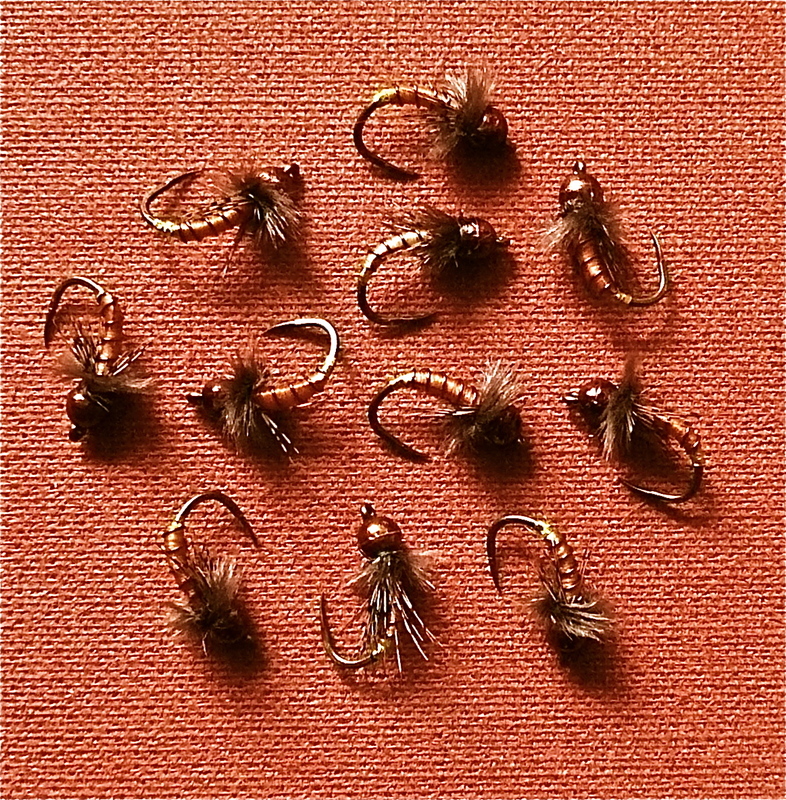 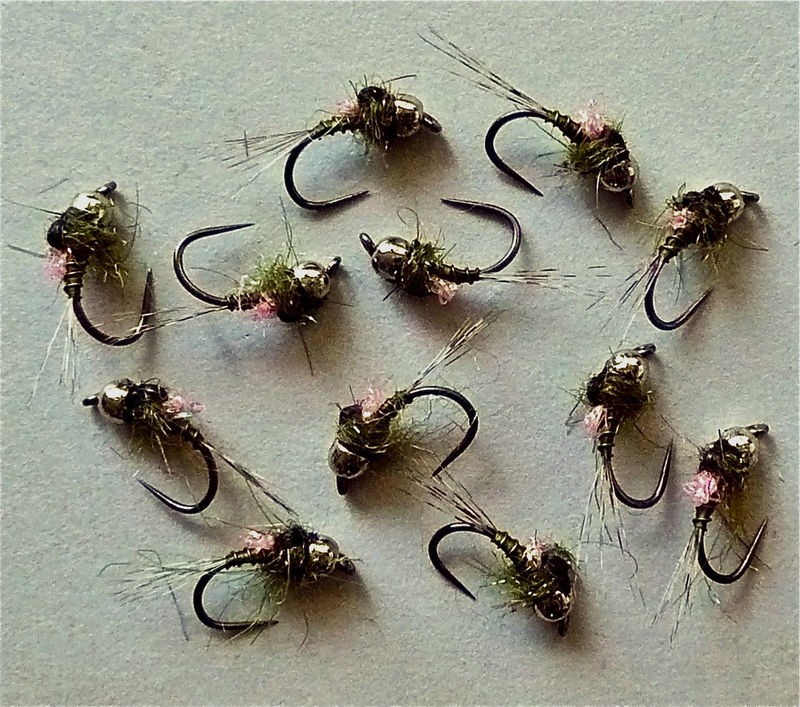 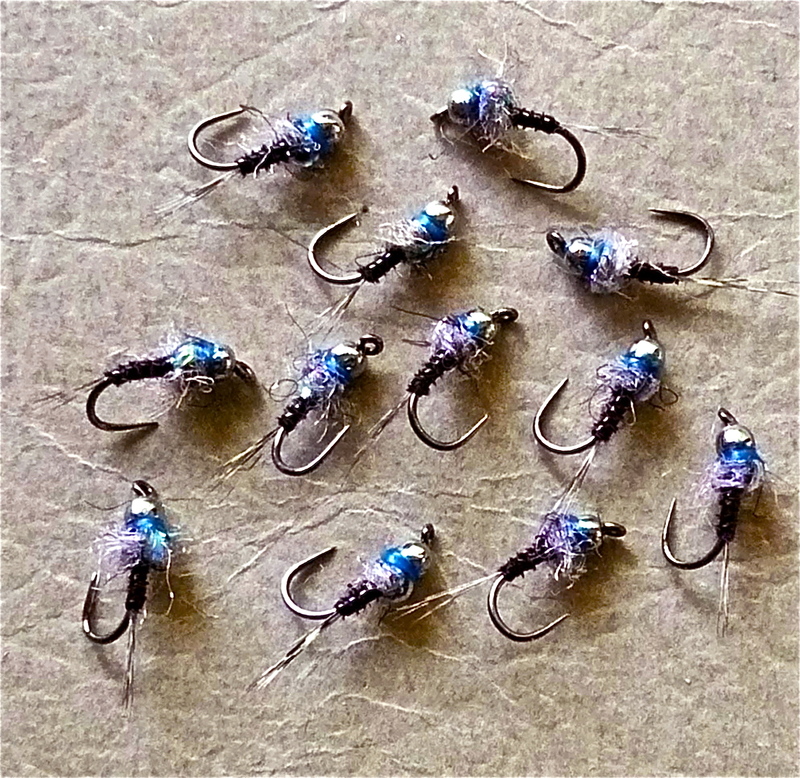 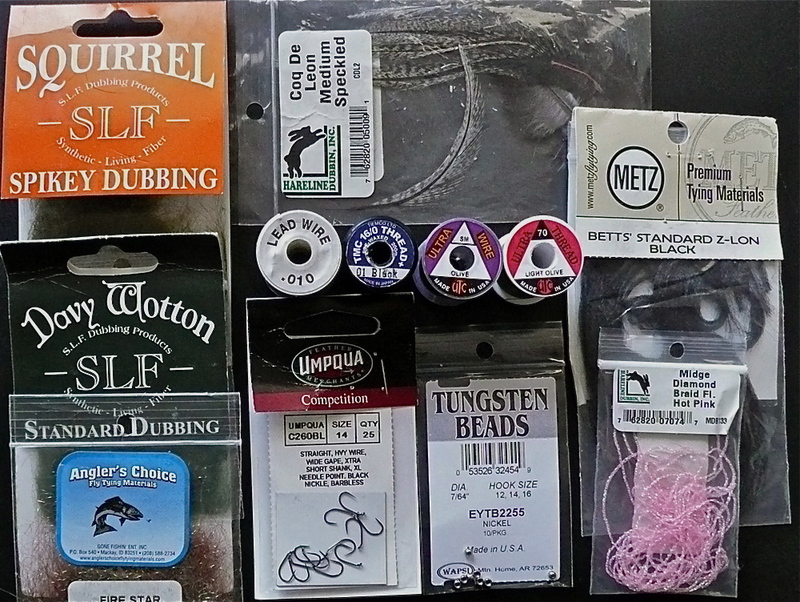 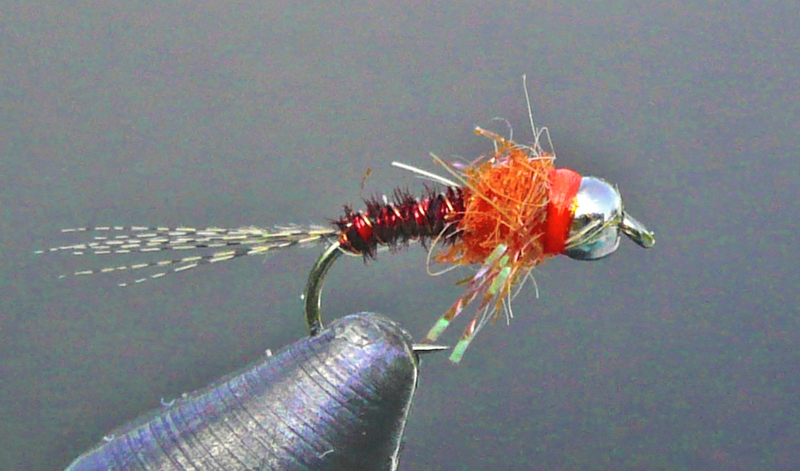 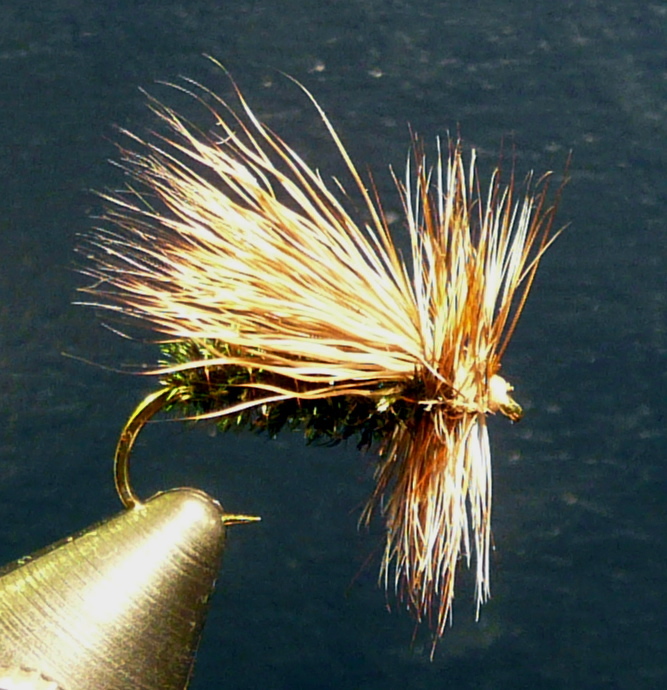 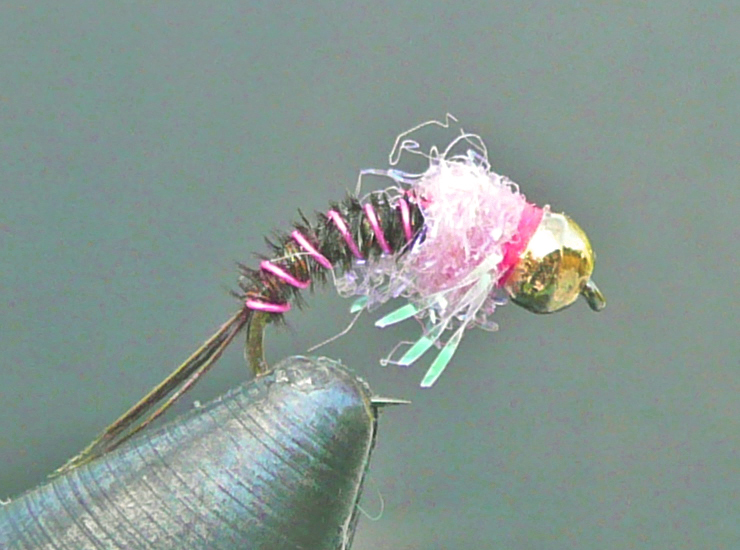 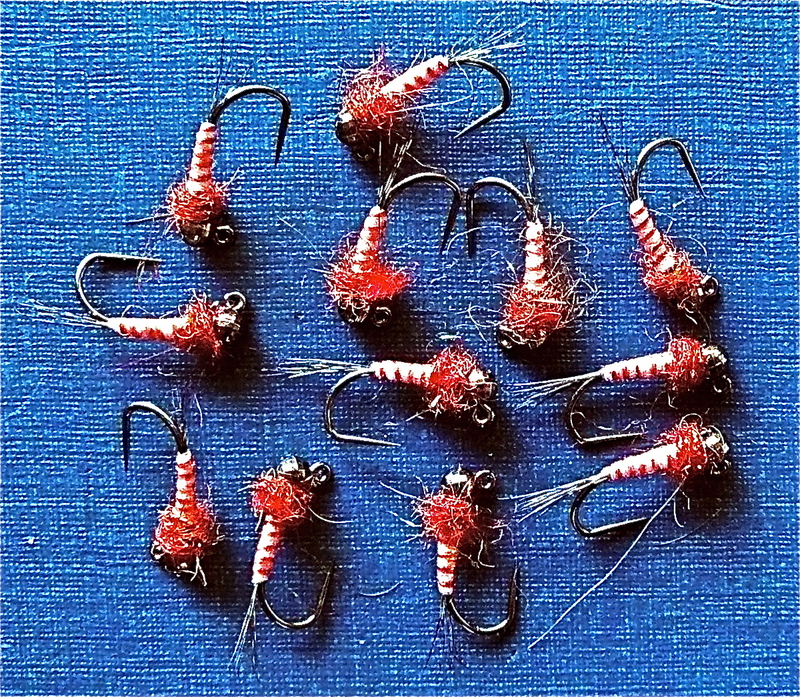 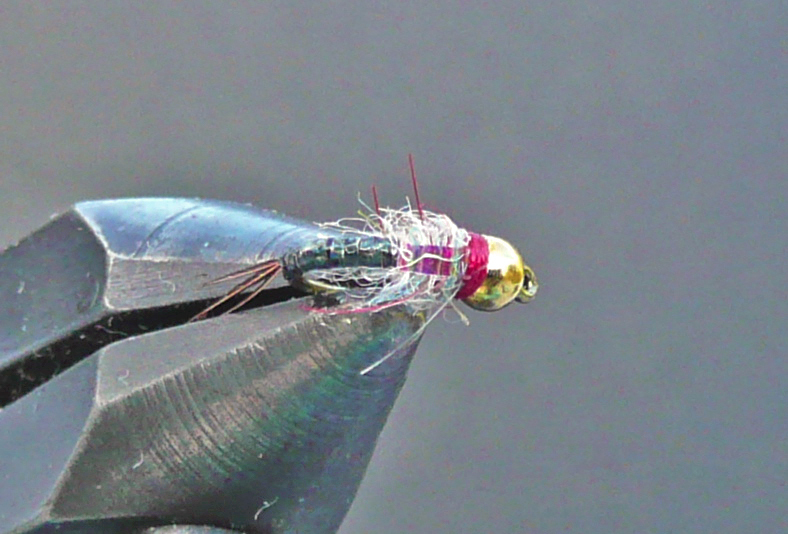 IN PINK (s) JIG NYMPH…. 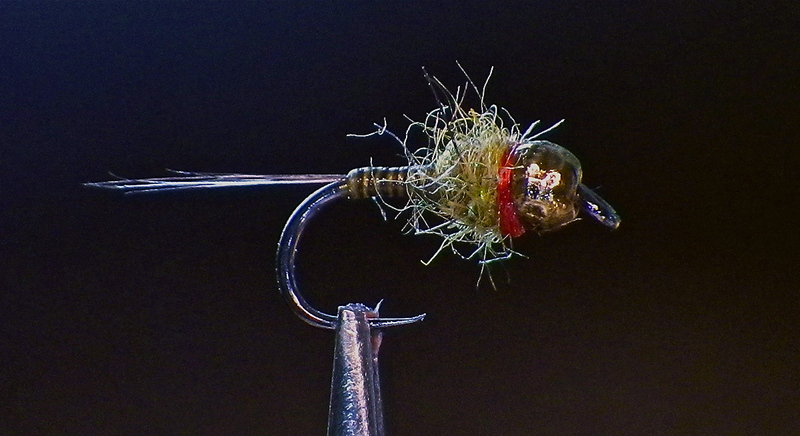 A hot RS2…why not ? 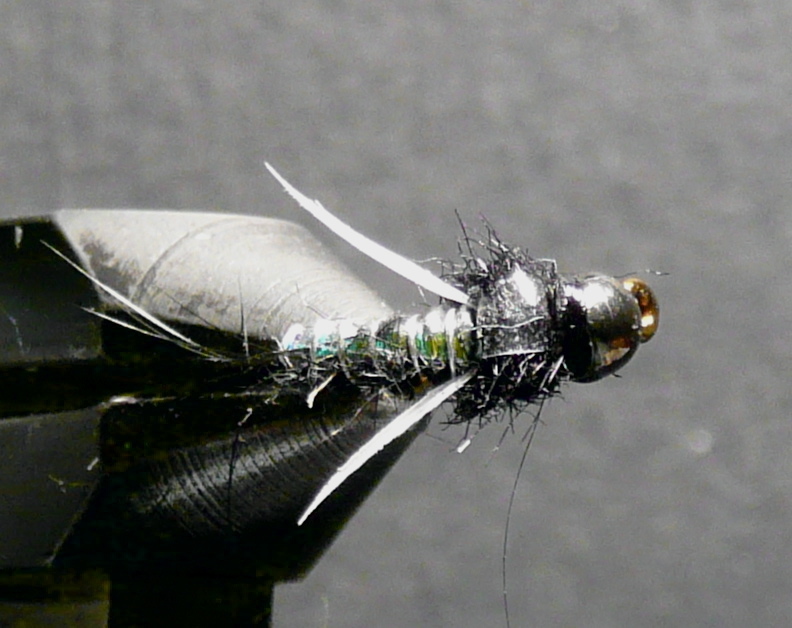 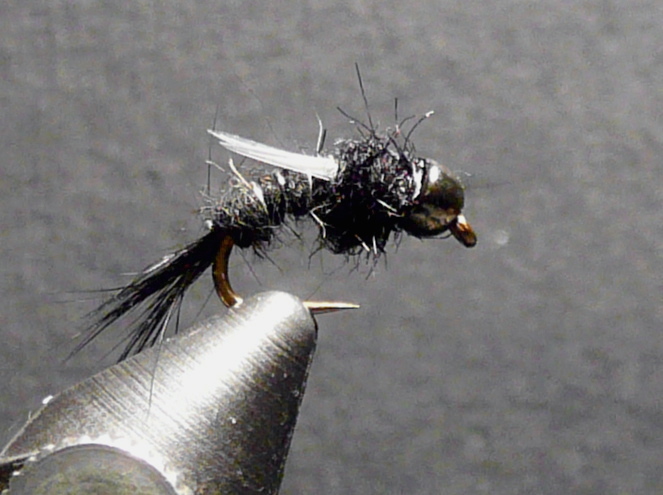 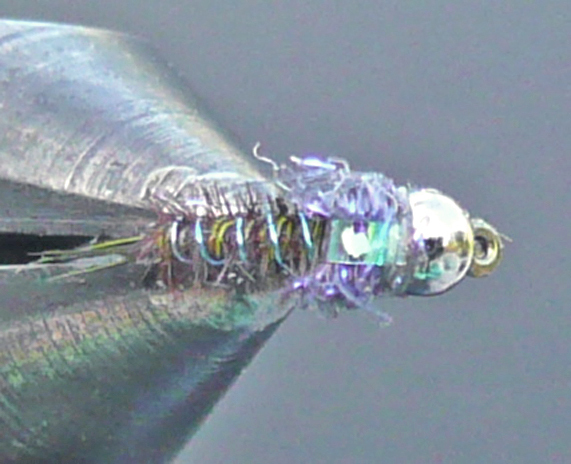 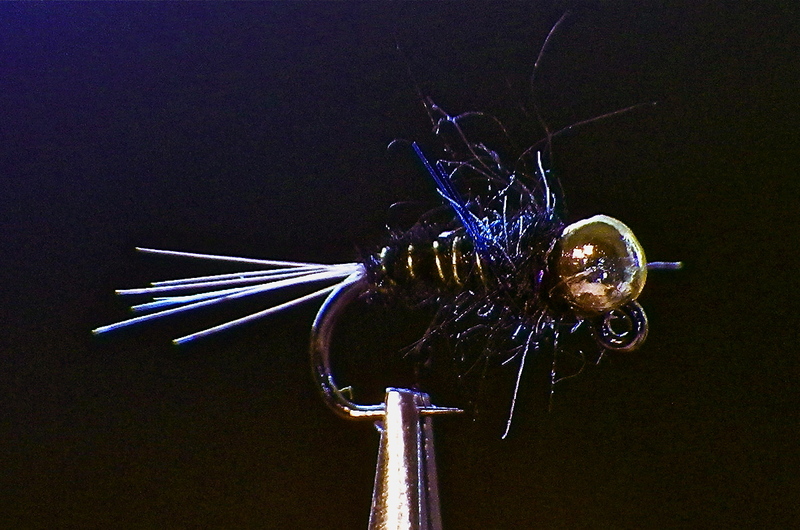 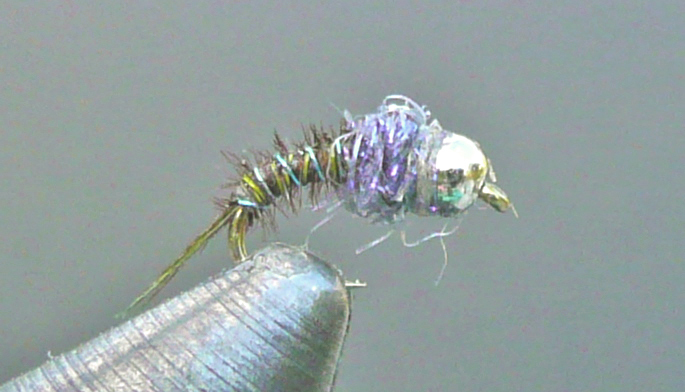 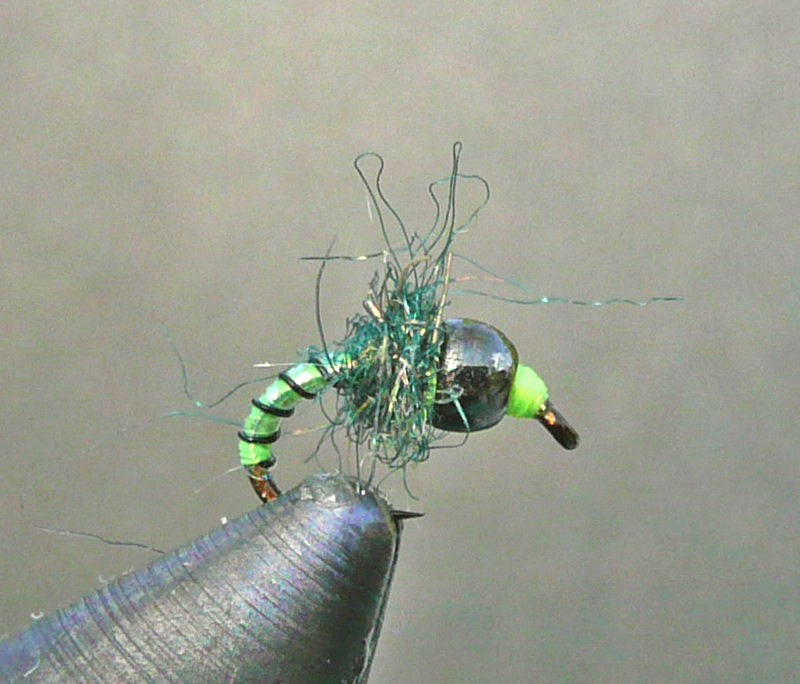 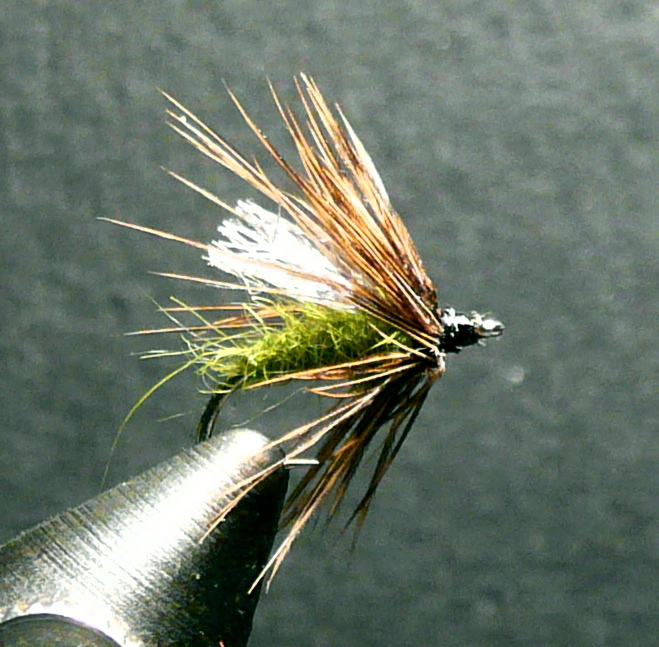 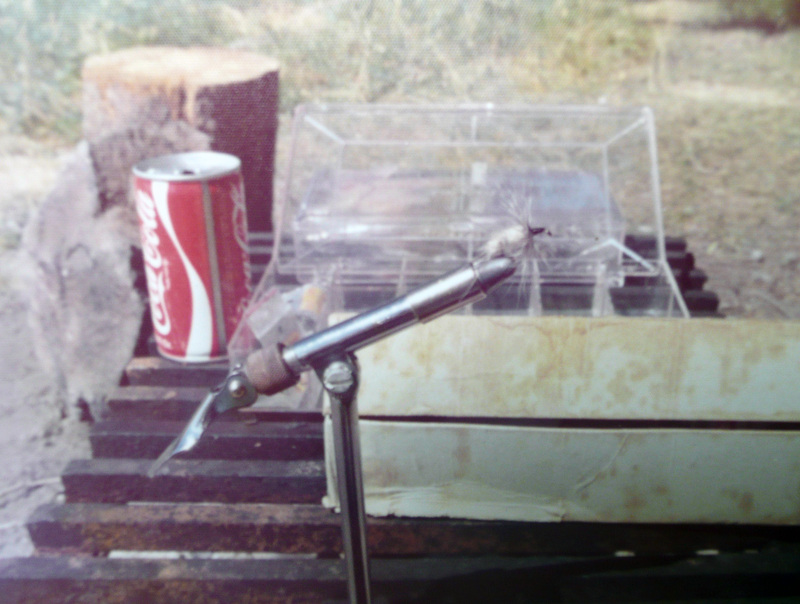 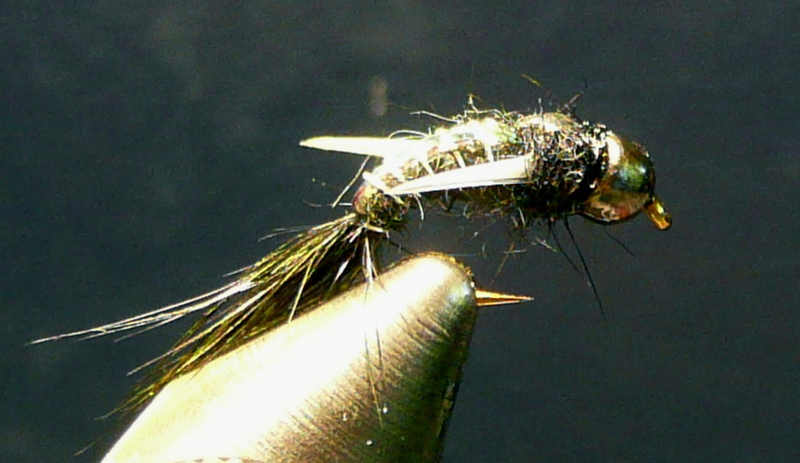 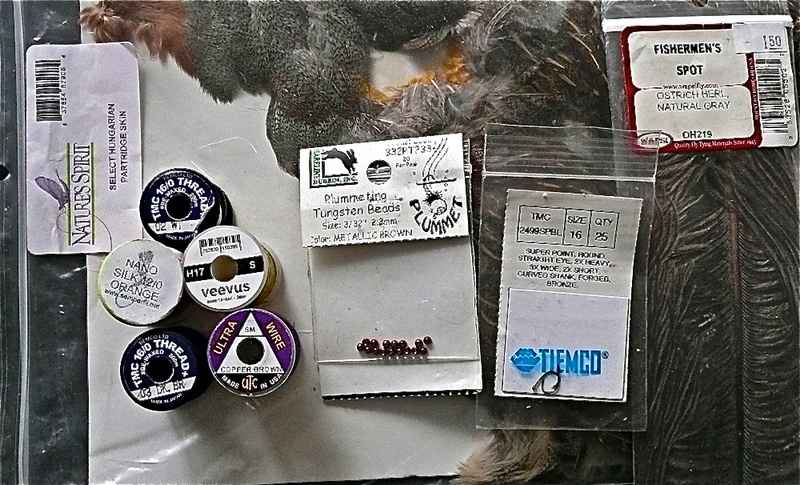 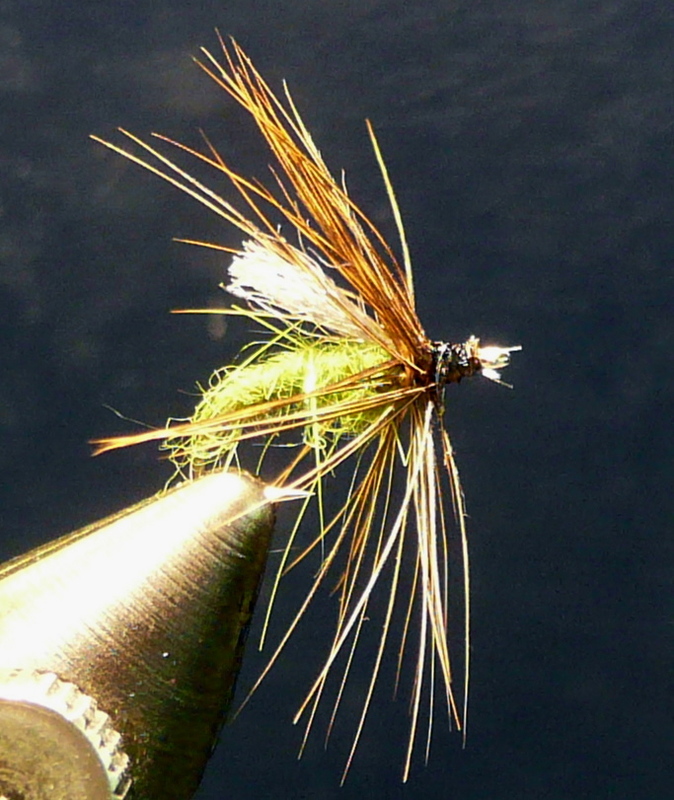 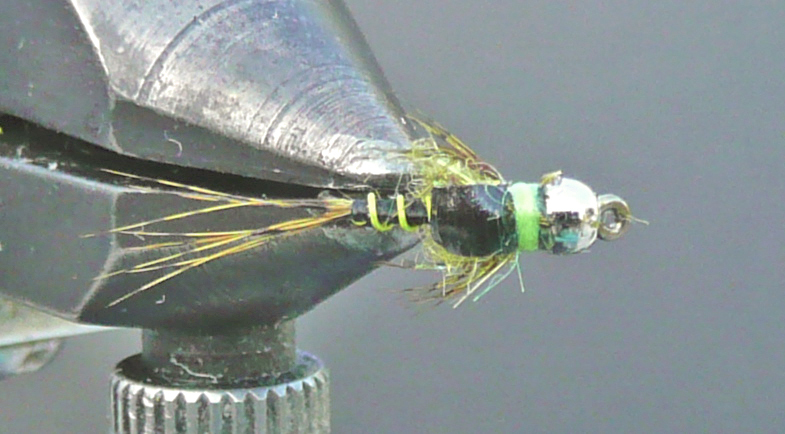 OVER ABDOMEN: (over white Veevus thread) 1 strand OPal Mirage Flashabou – *coat with had cement first!